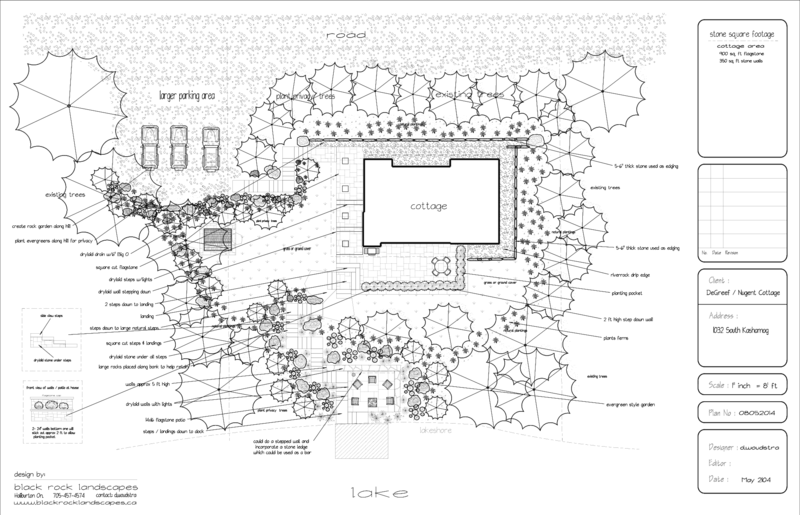 Computerized drawings are one of the first steps to designing a great plan. 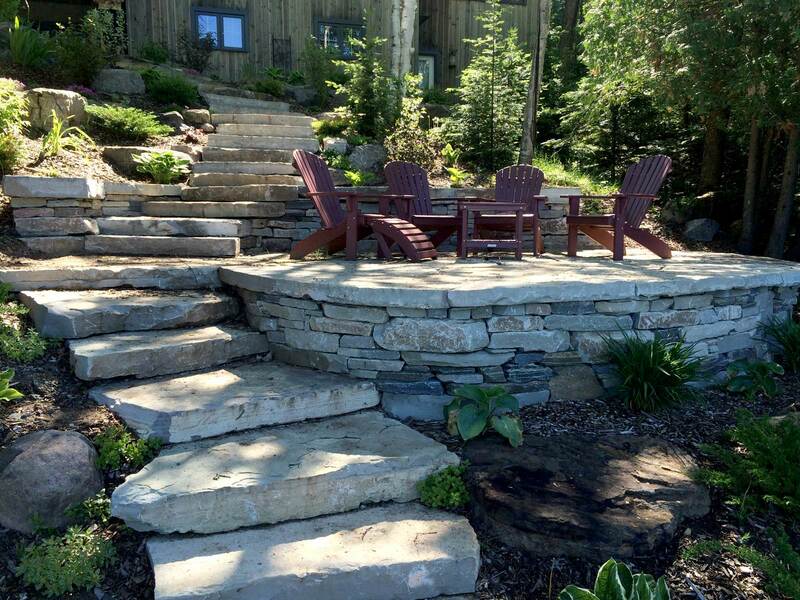 Without a plan you certainly wouldn't build your home or cottage and it is the same when landscaping your property, especially on larger projects. 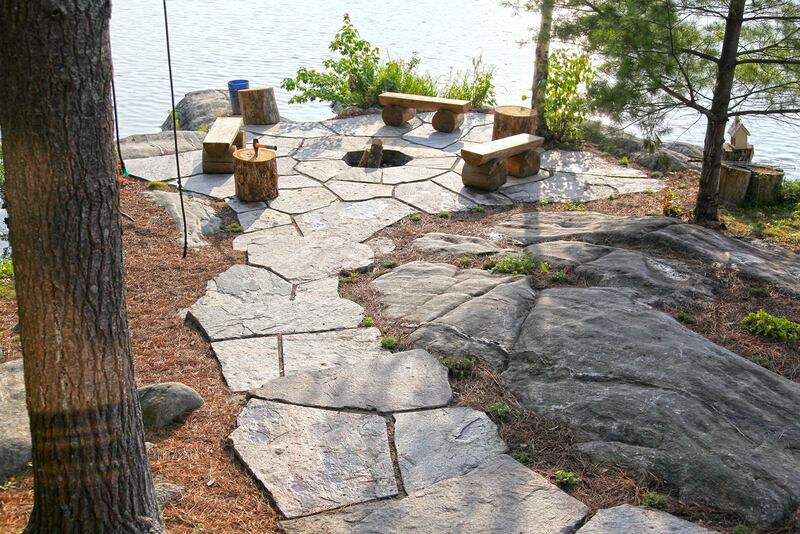 A drawing is essential to planning your sitting areas, your steps to the dock, and tree & plant placements to take advantage of sun-shade spots. 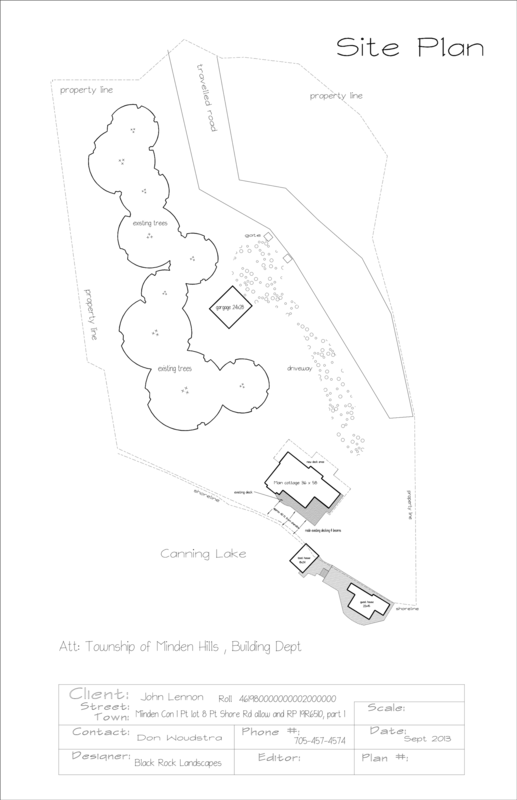 Drawings can also indicate potential problem areas. 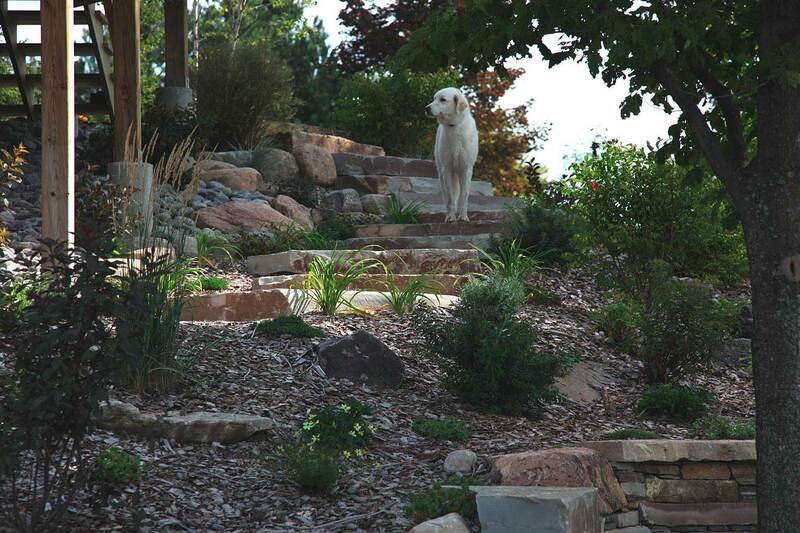 Another important thing to consider is that a landscape plan also shows you exactly what you're paying for. 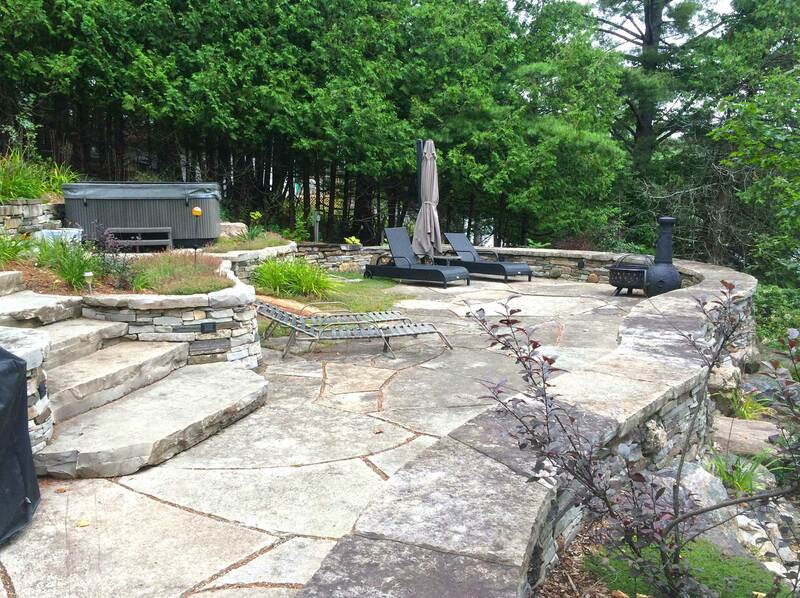 One of the first things you will require when renovating or building a new home or cottage is a site plan for your local building department. 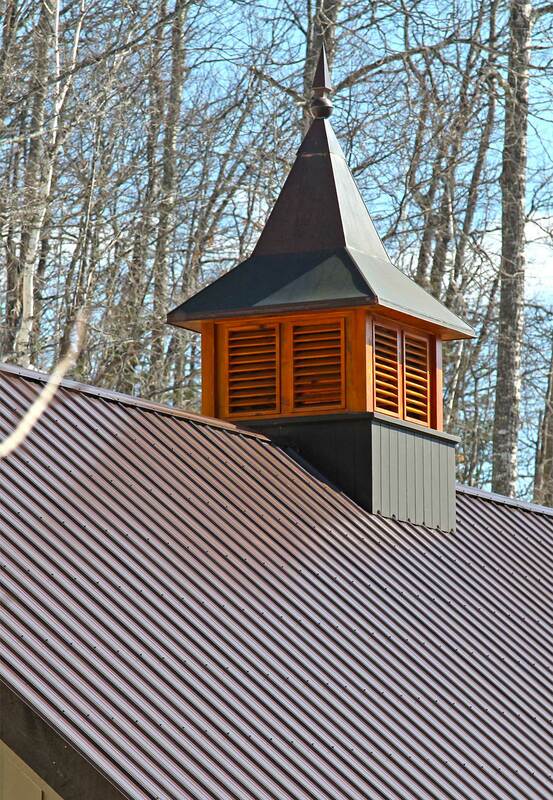 BRL has many years of experience providing our clients with many types of plans. 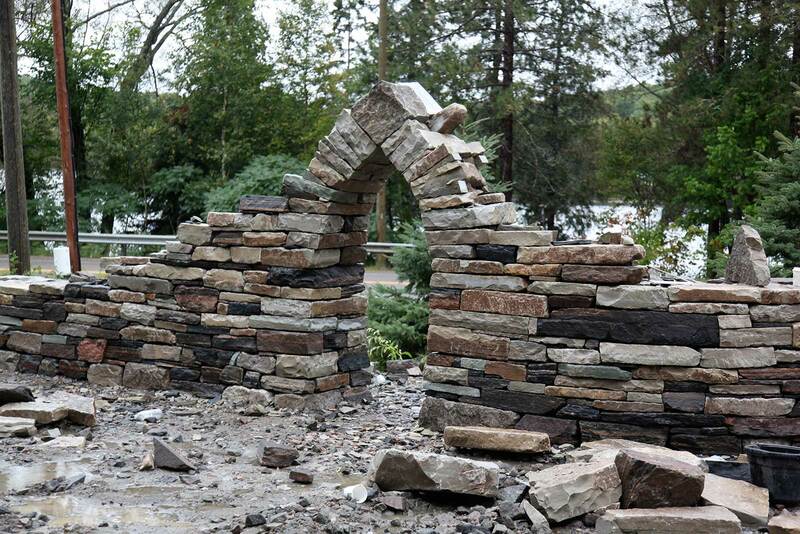 In some cases a builder can provide drawings but in many cases builders don't provide this service. 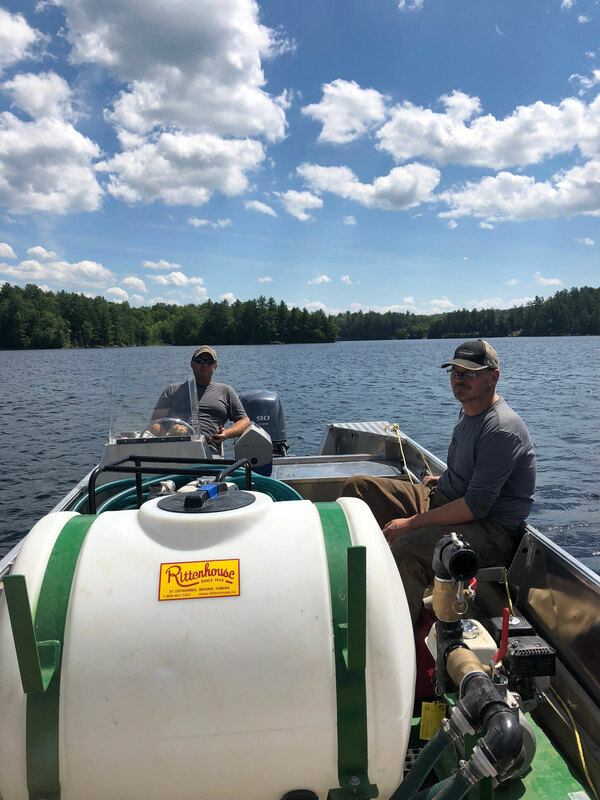 At BRL we can steamline the process for you. 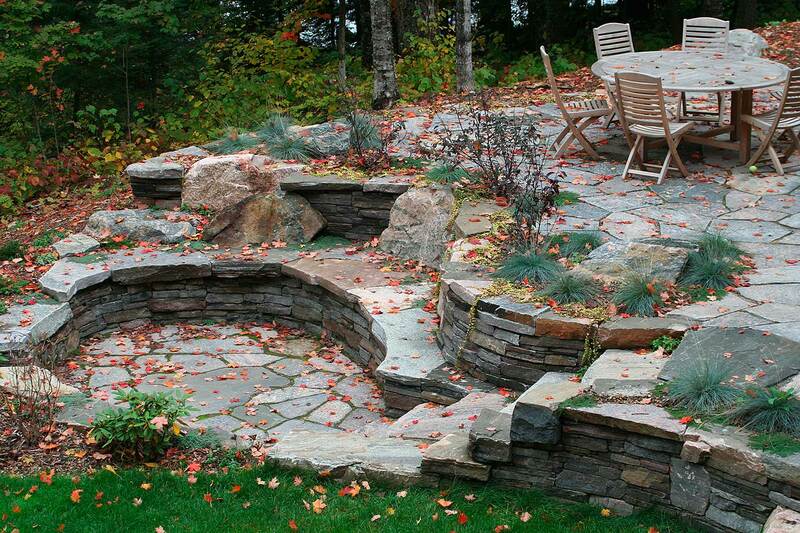 Having another perspective on layout is also essential especially from a trained designer with years of experience. 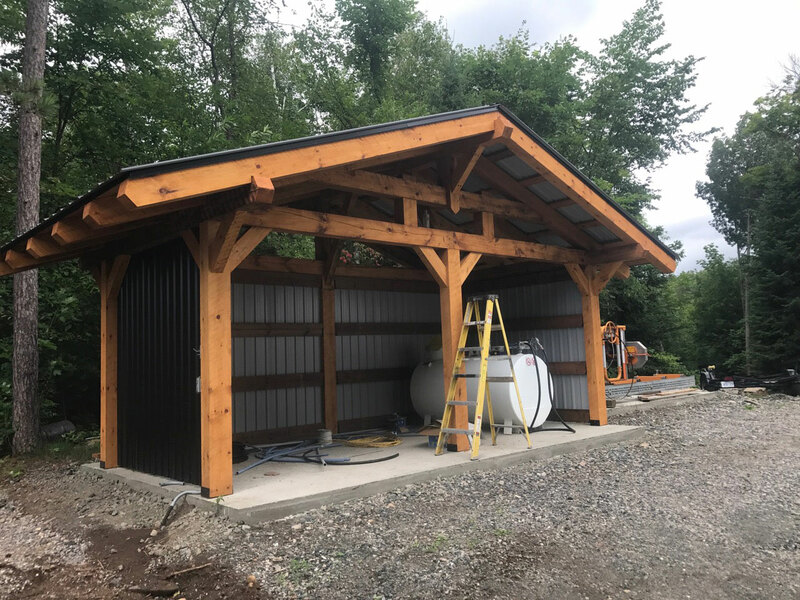 On many occasions when we arrive after the building process is done many problems arise from poorly planned locations of buildings, septics, and driveways. 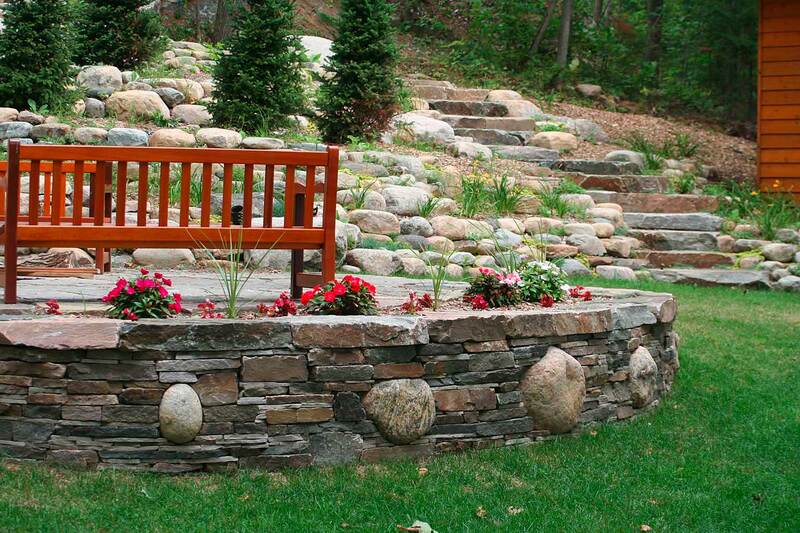 We consider all aspects when designing a plan. 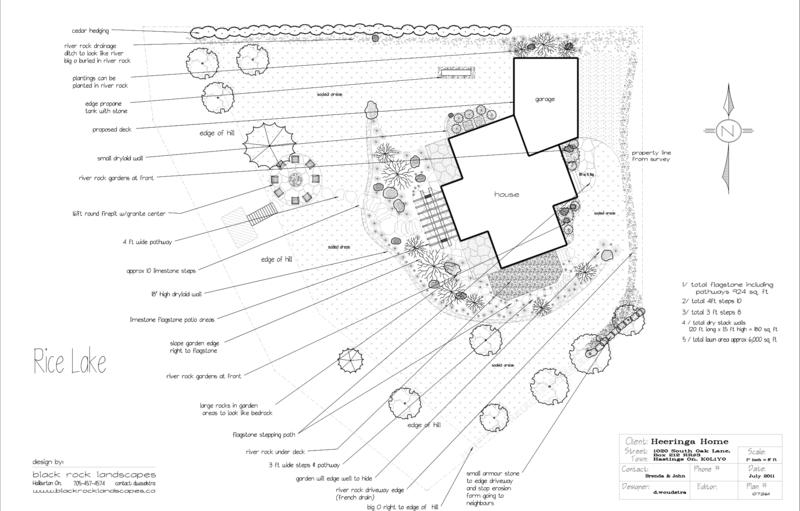 The other benefit of having us develop your site plan drawings is we can intergrate an overall landscape plan into the site plan showing all aspects of your property and all future considerations such as sheds, sitting areas, walkways, etc. 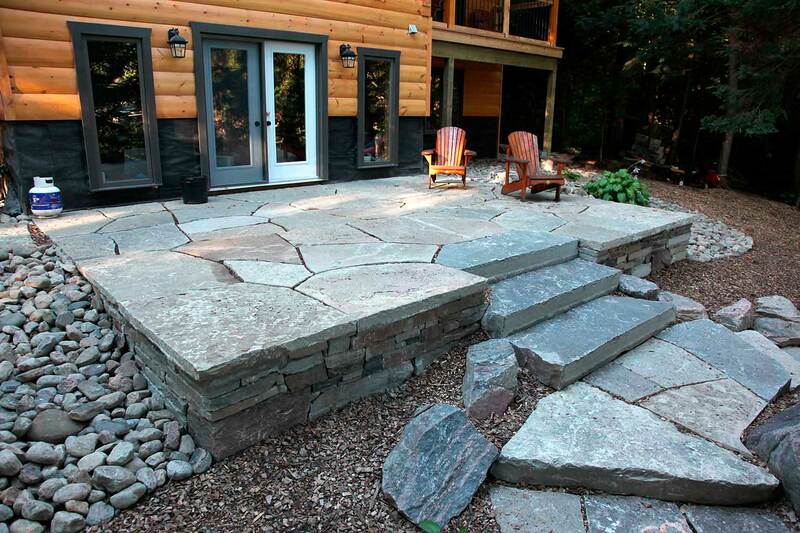 Black Rock Landscapes can provide you with lot clearing, building teardown/disposal and road building services. 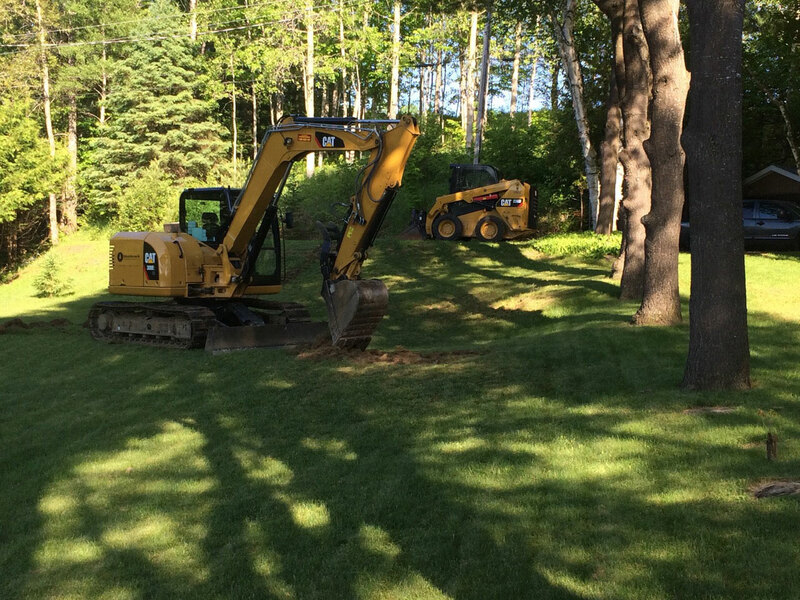 We have all the equipment and staff needed to do the job including and on-staff arborist. 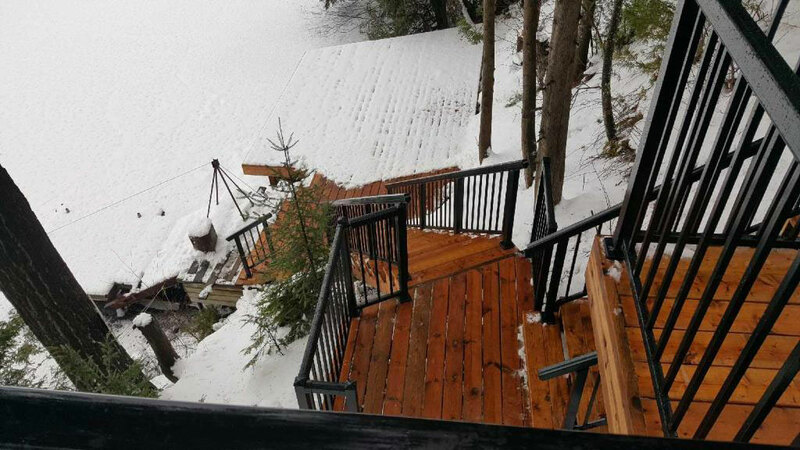 Contact us to discuss these services that can be done any time of the year. 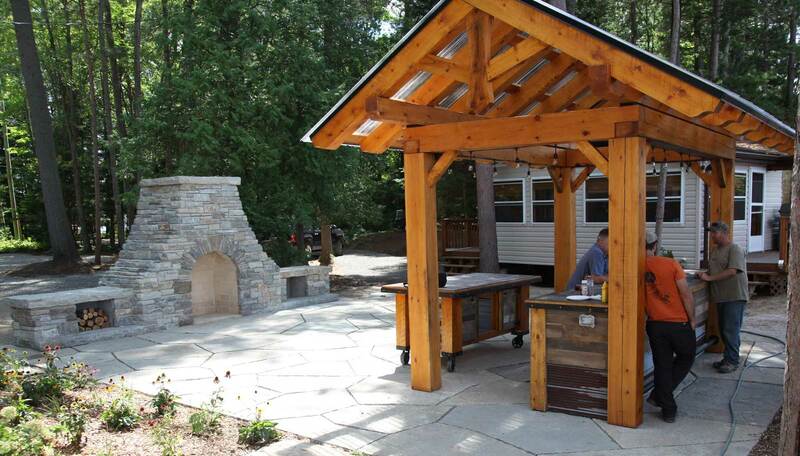 Our knowledgable staff will be glad to help you through the process. 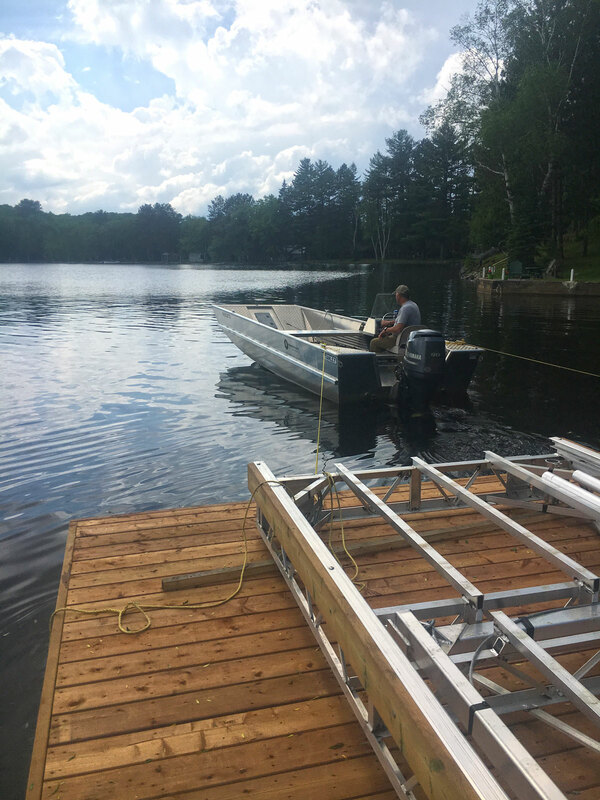 BRL uses boats and barges to provide our full range of services to customers with Water Access Only properties. 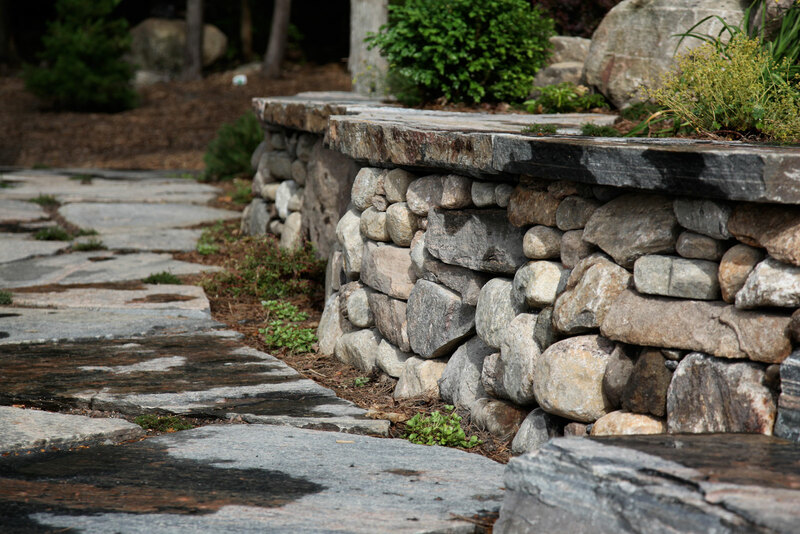 Rock gardens and plantings are essential to controlling erosion on hillsides and slopes. 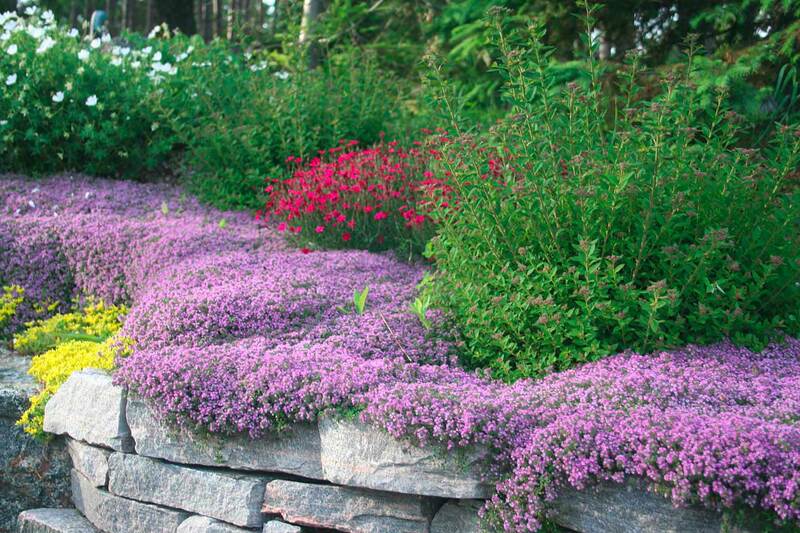 They are also a great way to create colour on a slope or along the wall of a house. 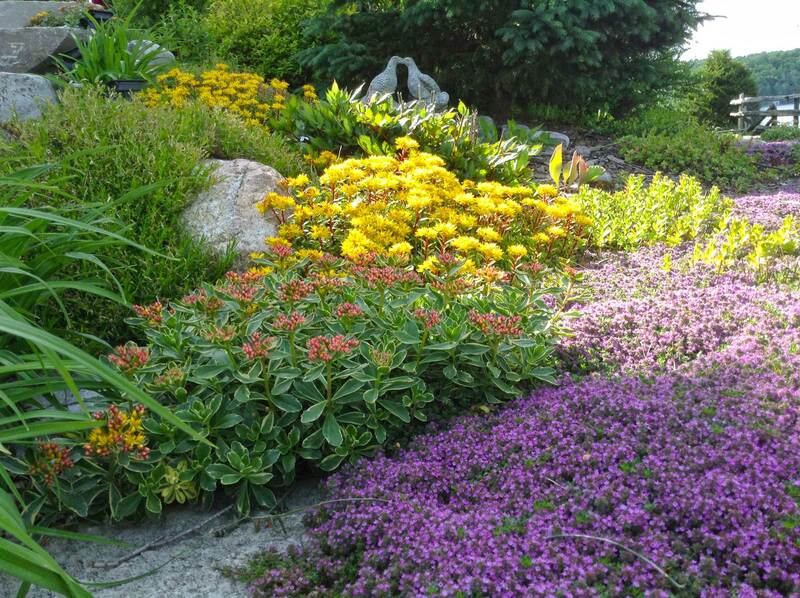 We use many species of plants, many of which are native to the areas we work. 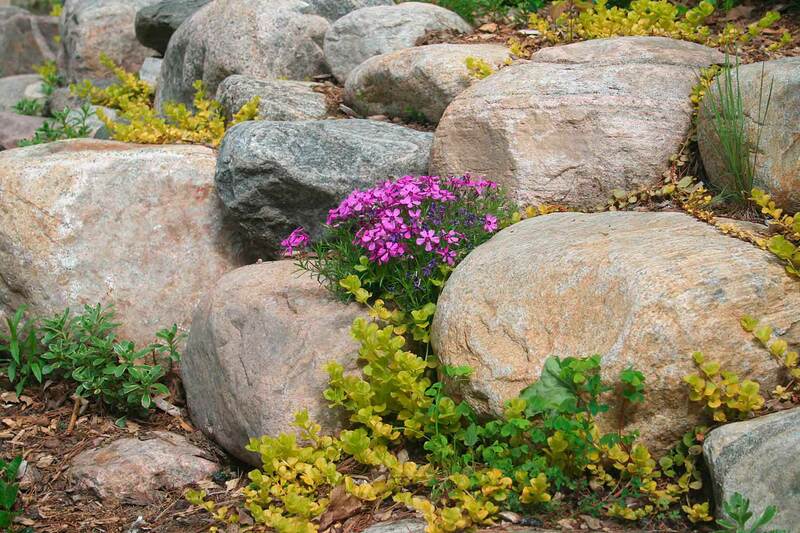 Perennials can be a low cost way to make an area beautiful and over time keep an area low maintenance. 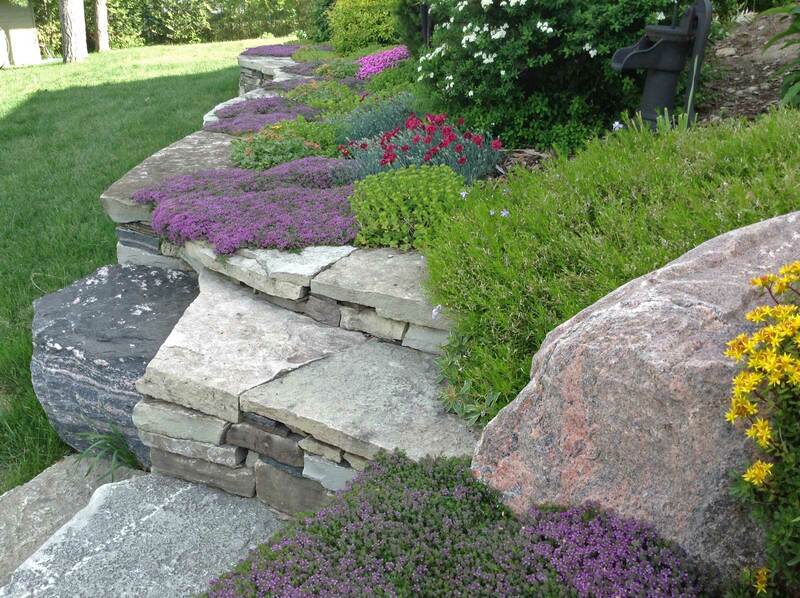 Rock gardens are also a great way to fix eroding shorelines, and can replace retainer walls for a more natural look. 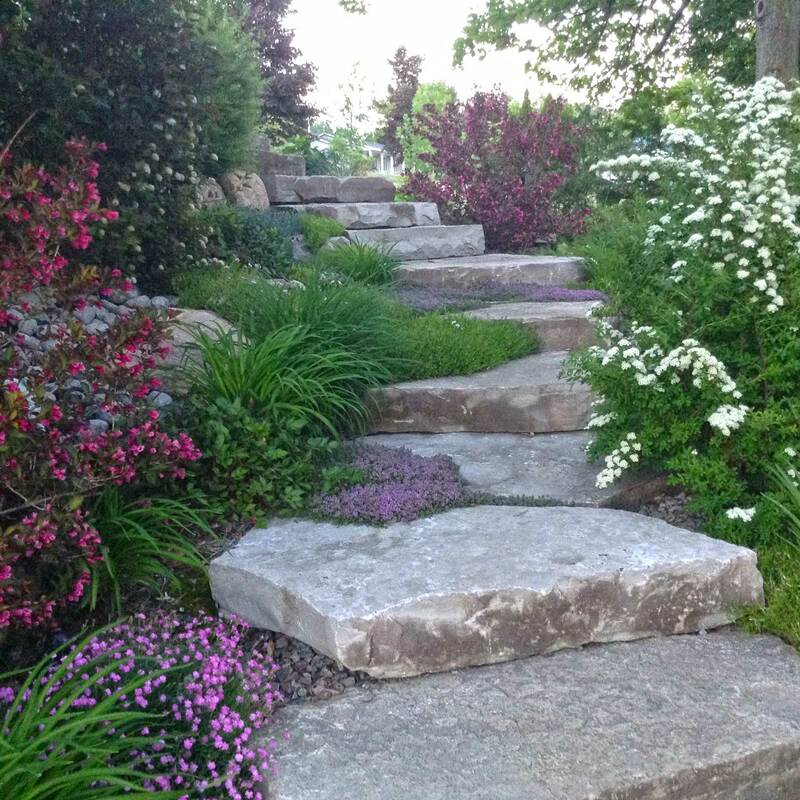 The planting process can be an art form in itself and Black Rock Landscapes Inc. has many years of proven experience in creating the right look for your property. 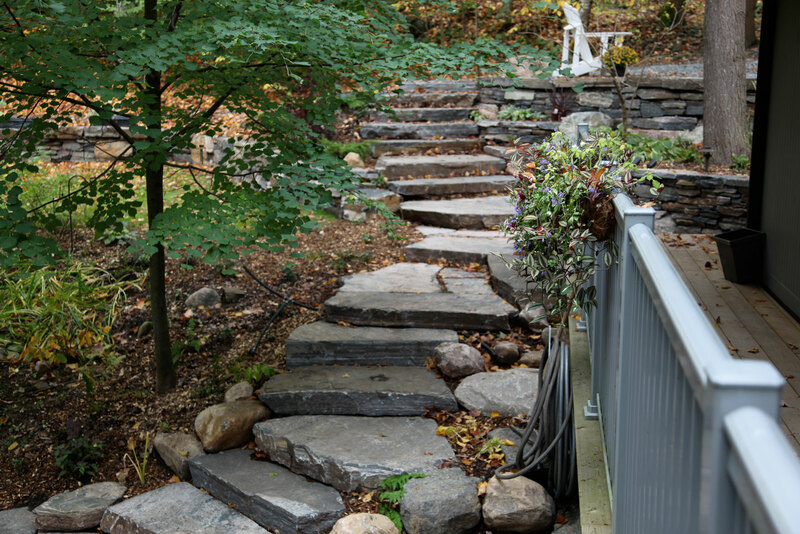 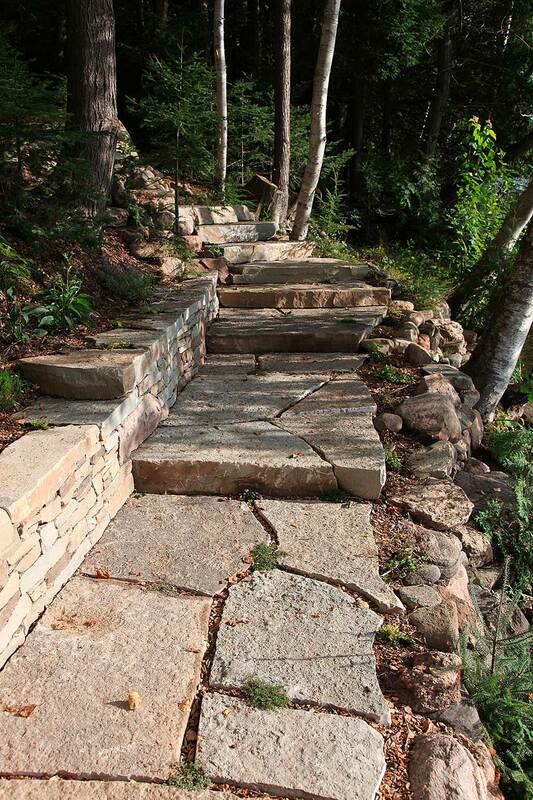 Steps and walkways can be created by using many materials, from large pieces of flagstone or by using materials such as mulch, gravel and wood decking. 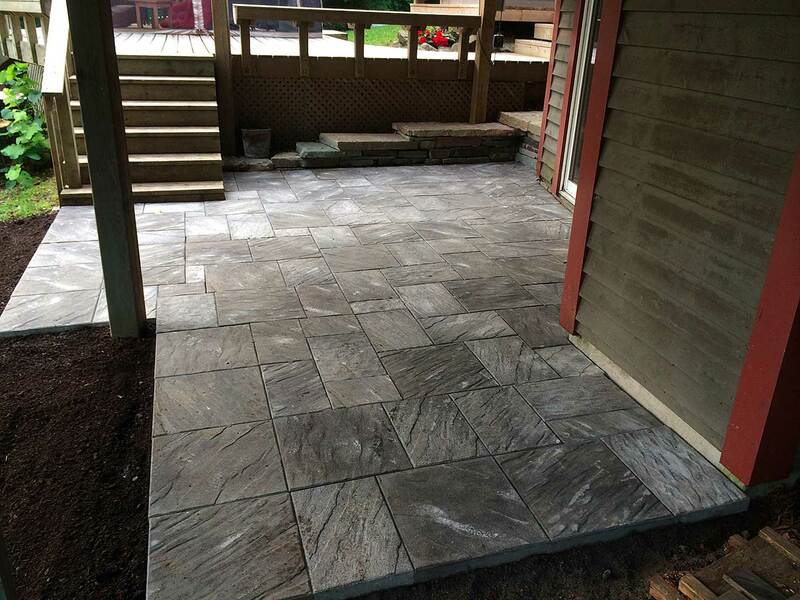 Each material has its advantages and disadvantages, like maintenance and dirt getting tracked into the house, so we will walk you through the process to help you make the right choice. 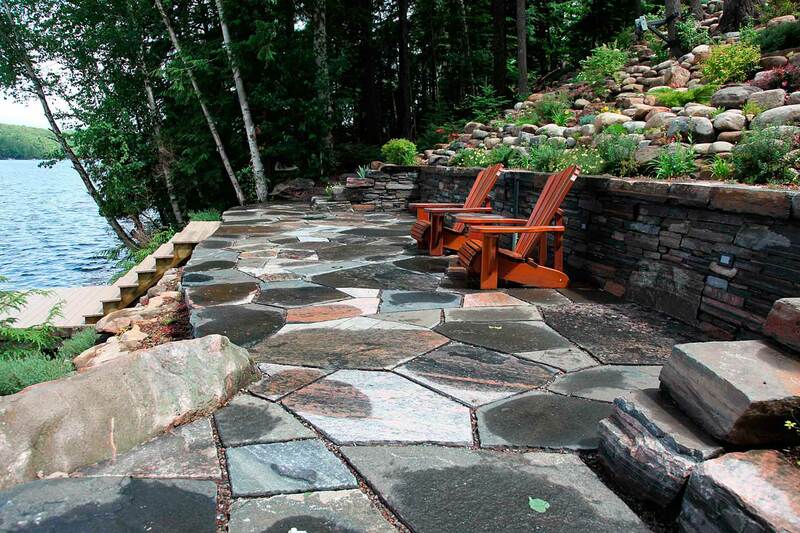 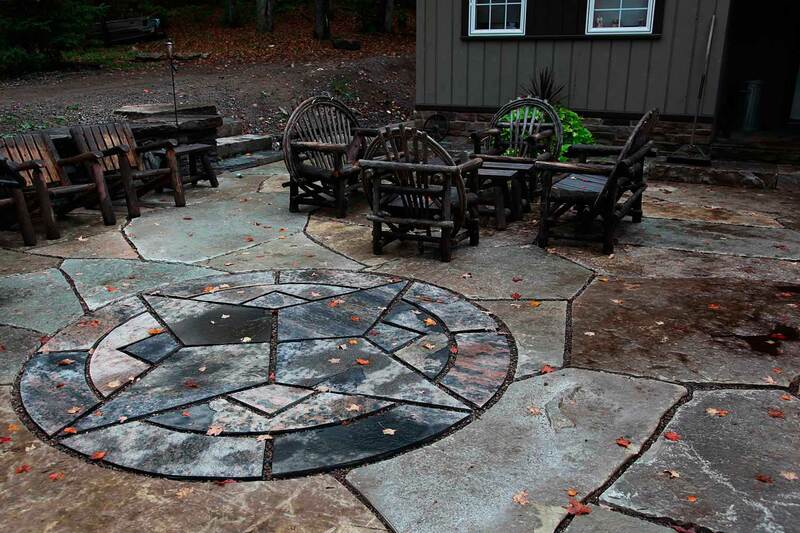 Patios are essential for every property and there are endless materials to build them from. 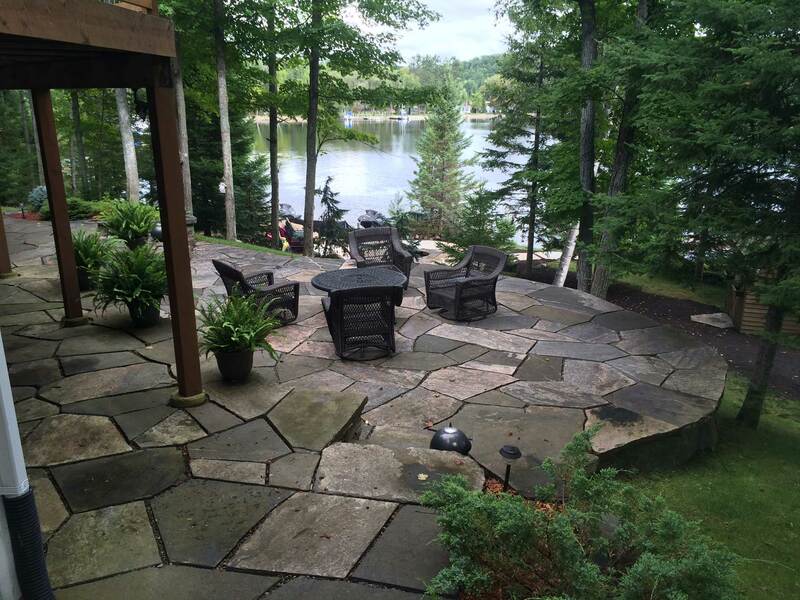 Whether you have a special spot to enjoy the scenery, watch the boats cruise by, or watch the kids play along the lakefront, our patios are the very best you will ever see. 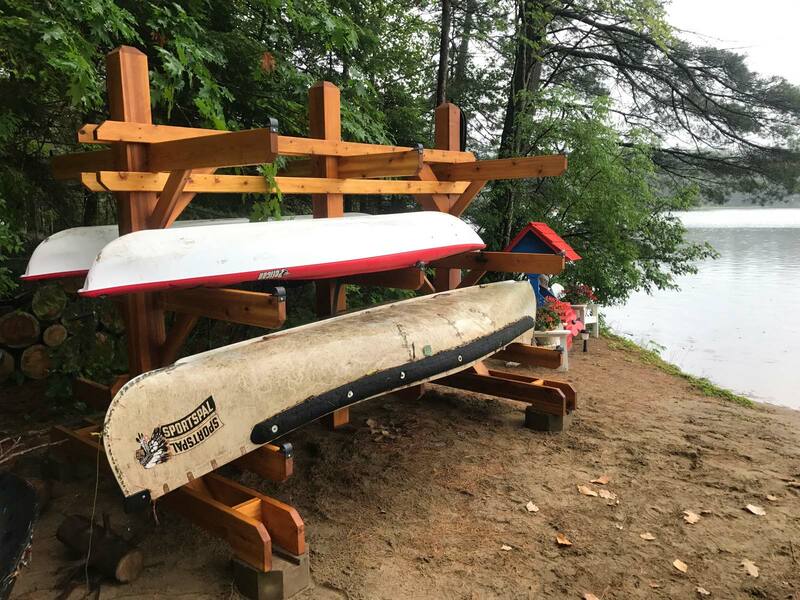 Some customers even park their ATV's, cars and trucks on them, so you know we spend a lot of time making sure they are built to last a lifetime. 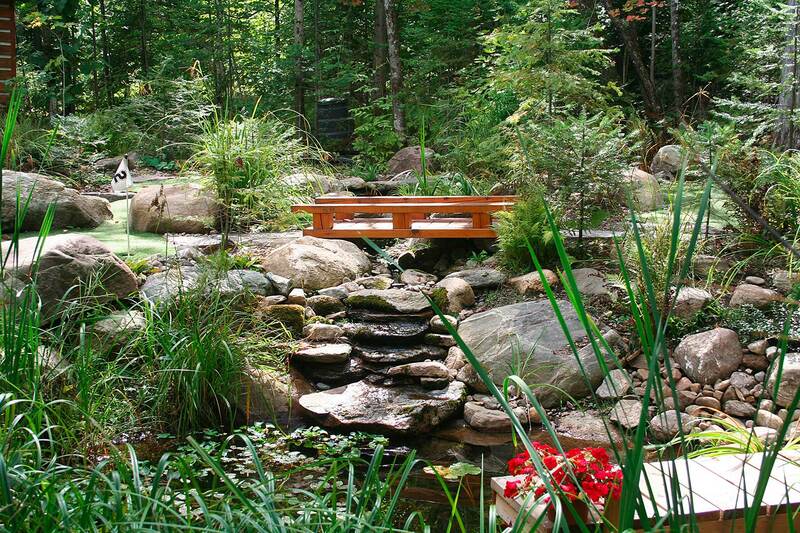 Water features such as ponds, streams and waterfalls can enhance a property's value beyond just money. 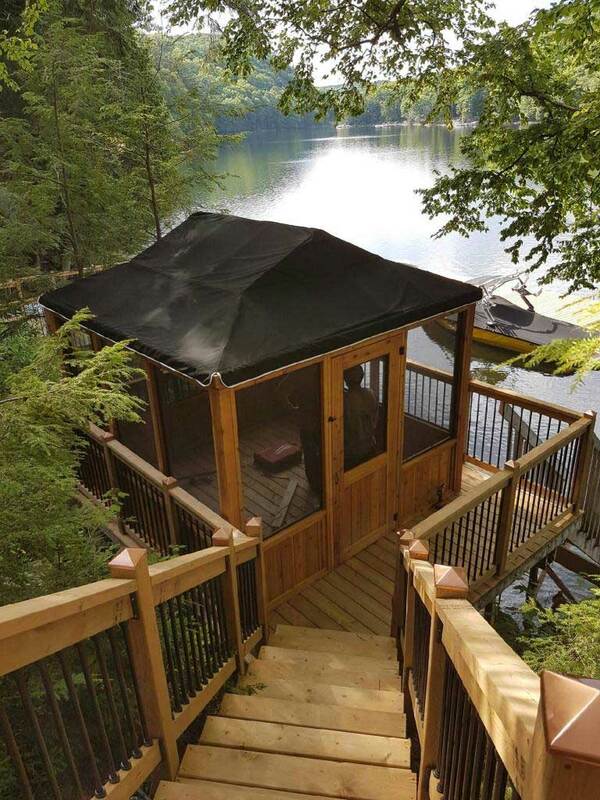 The sounds and views can be spectacular and the feeling of nature can be brought right into your back yard. 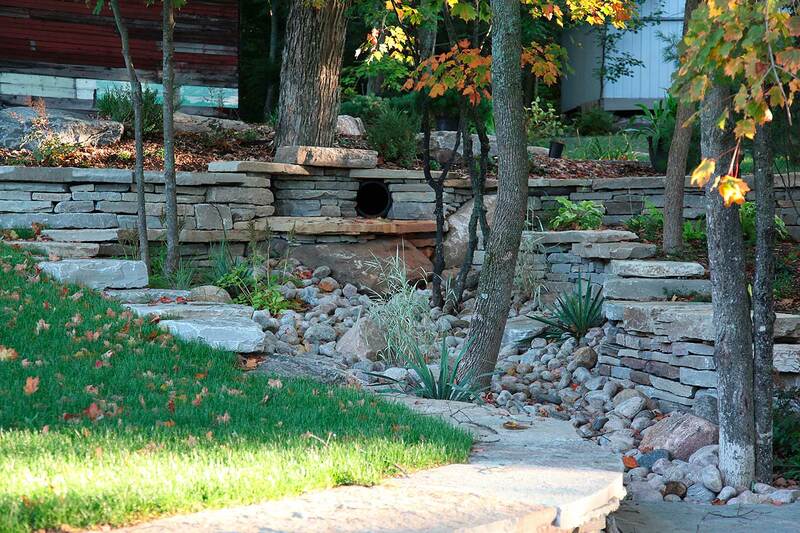 Many species of birds, fish and small animals like frogs and turtles also love water features. 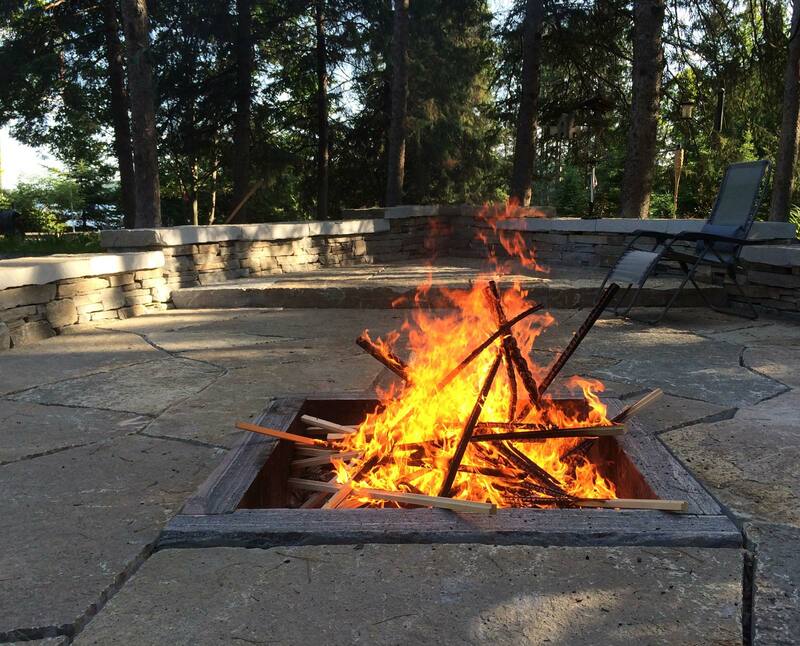 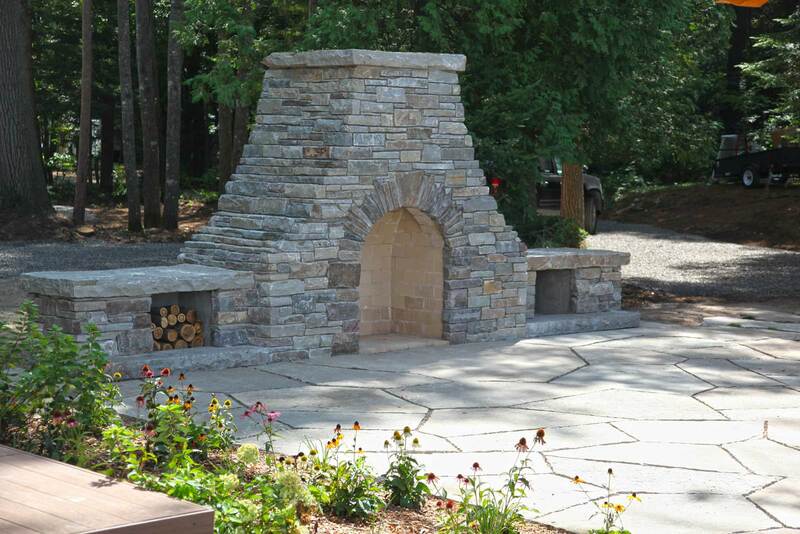 Firepits, fireplaces and outdoor BBQ's are a very popular item at many homes and cottages and we build many. 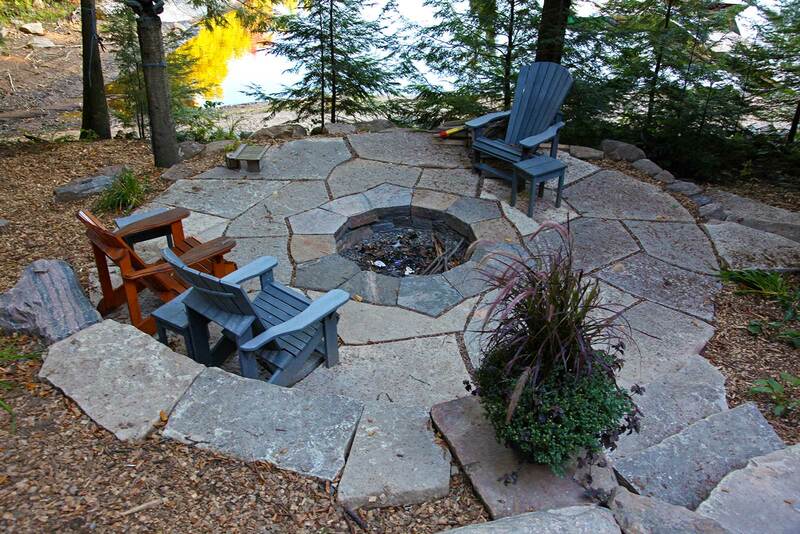 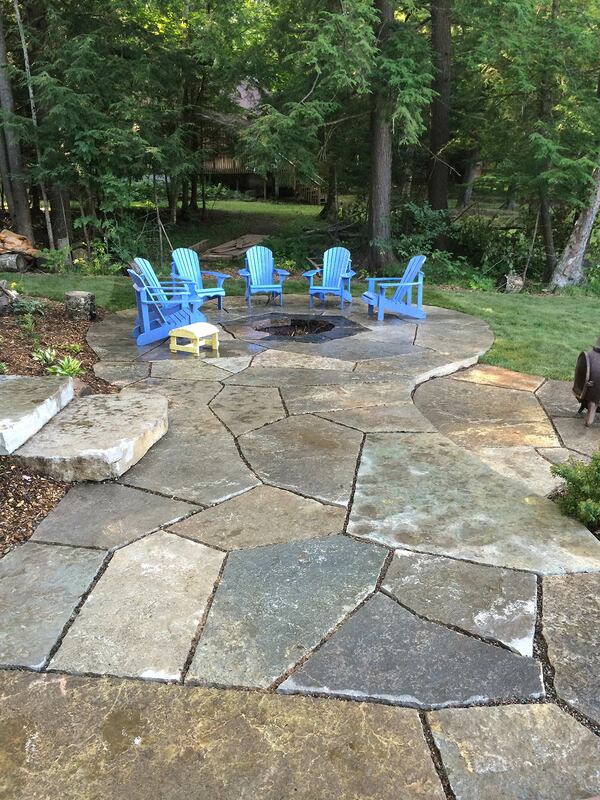 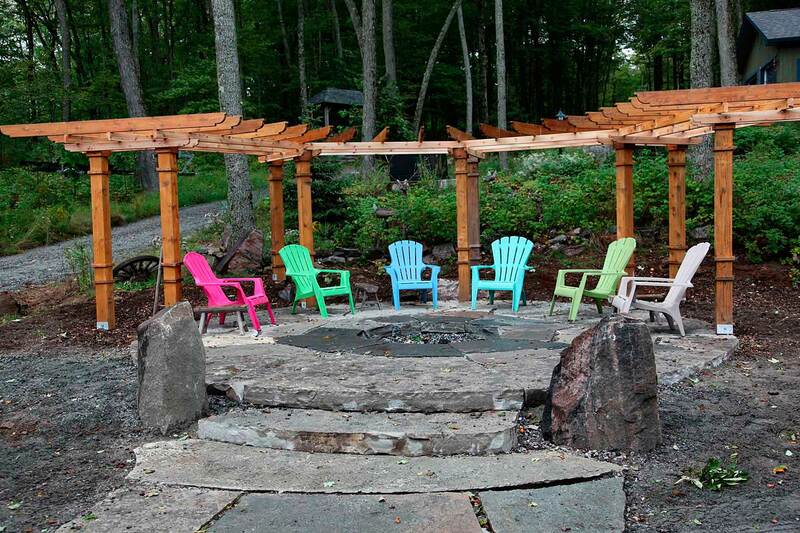 Firepits and fireplaces can also be incorporated into a patio/sitting area. 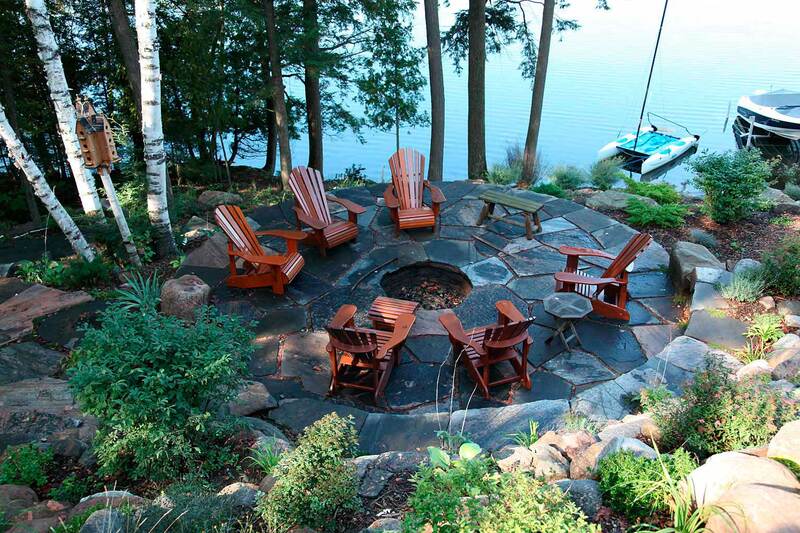 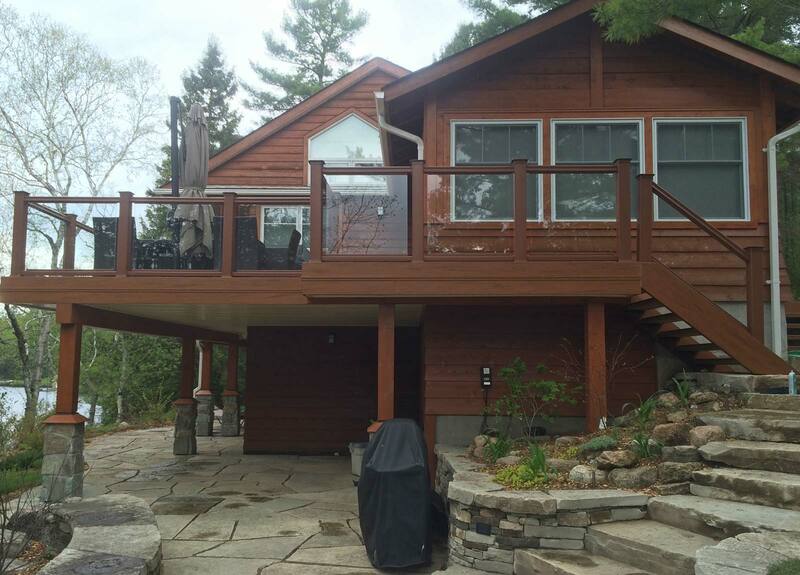 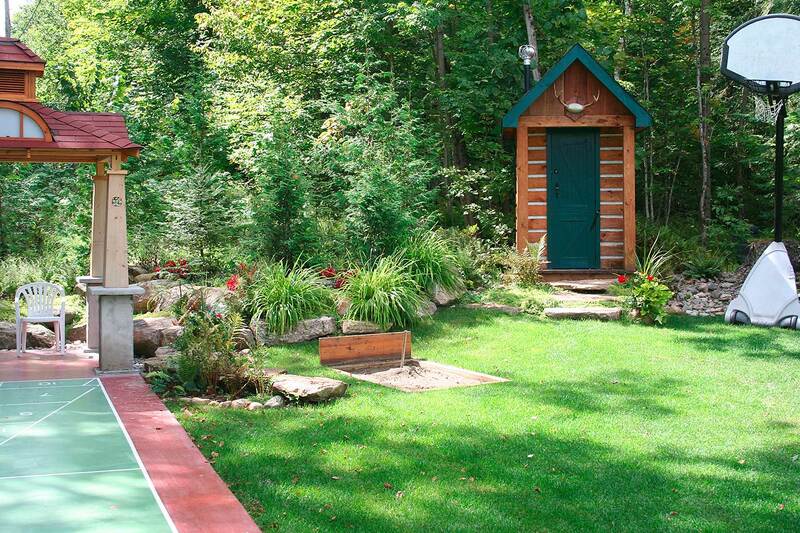 No cottage or home should be without one as it is a great way to create memories with your family and friends. 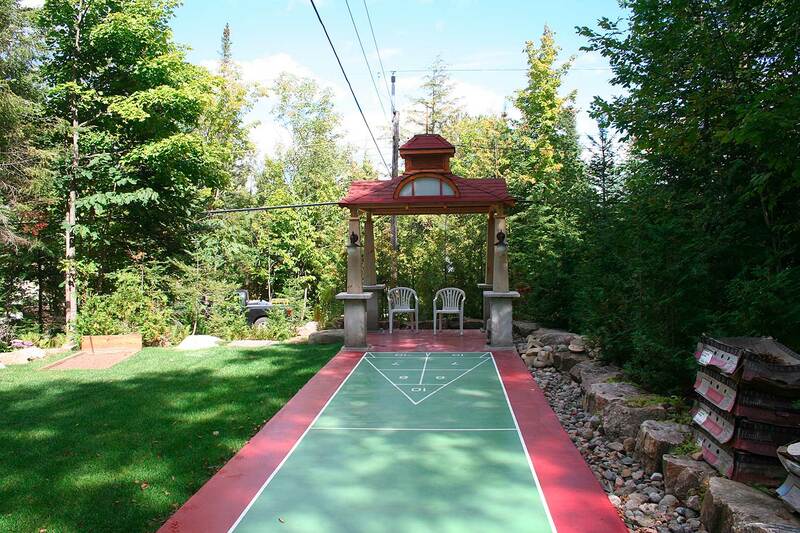 Black Rock Landscapes Inc. will be partnering with the company Pro Sport Surfaces, to design and build play courts and recreational areas like basketball courts, hockey rinks, outdoor shuffleboard, horseshoe pits, golf greens, volleyball courts, etc. 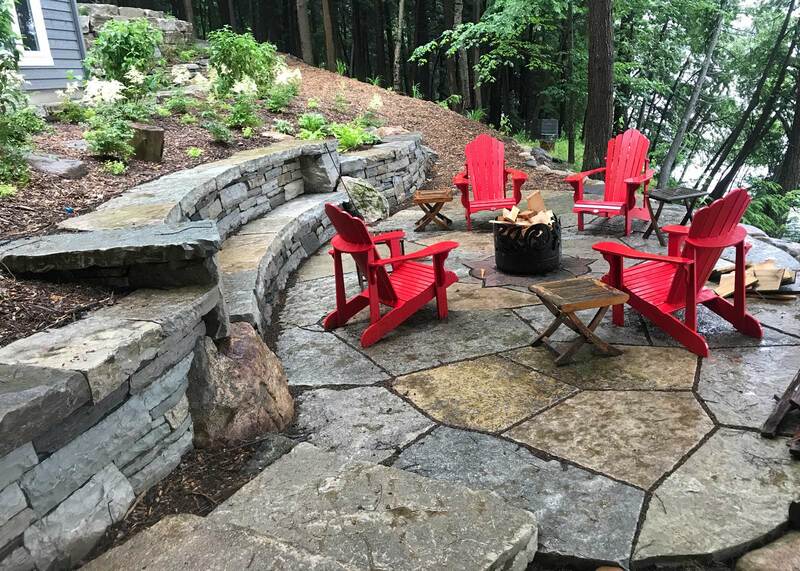 There is nothing better than getting outside, away from the electronics and spending some quality time with family and friends for good old laughs; not to mention the great exercise that comes with outdoor activities. 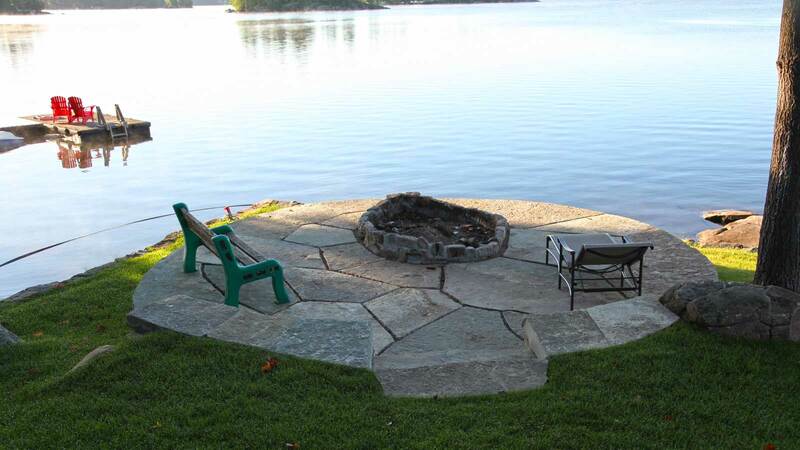 Call us to discuss your ideas and together we can make your outdoor recreation wants a reality. 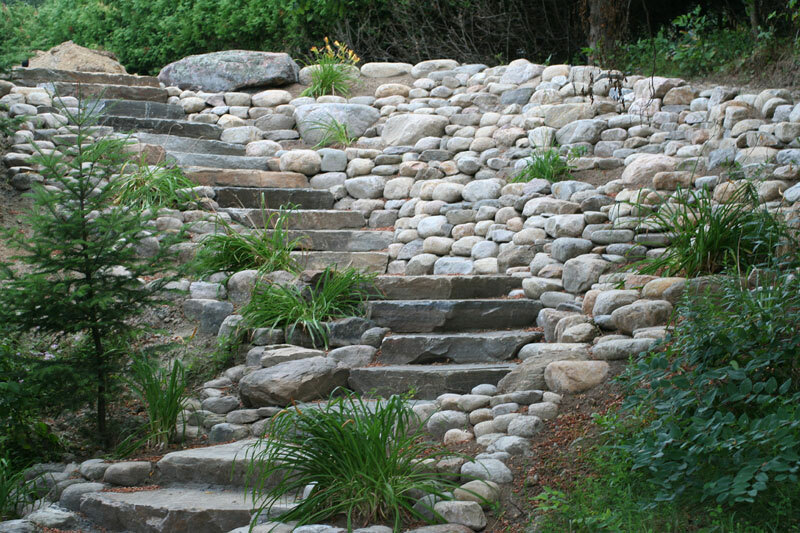 Creekbeds can be a great way to control water issues on a property. 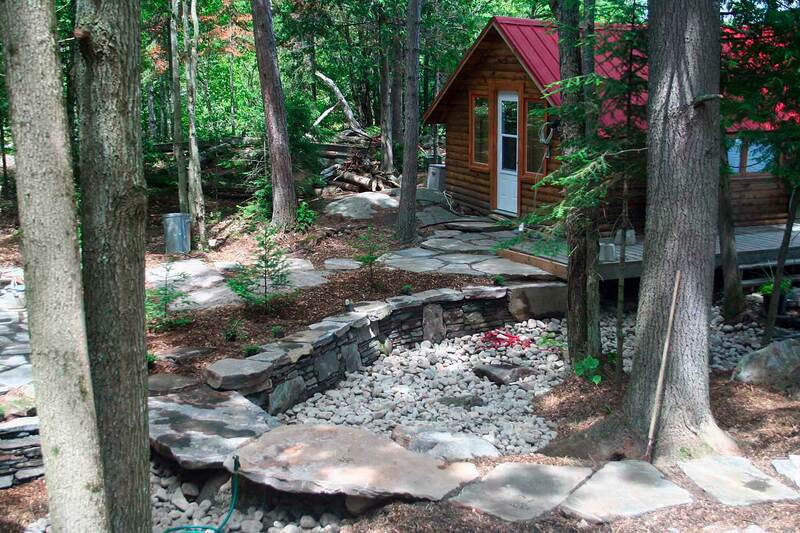 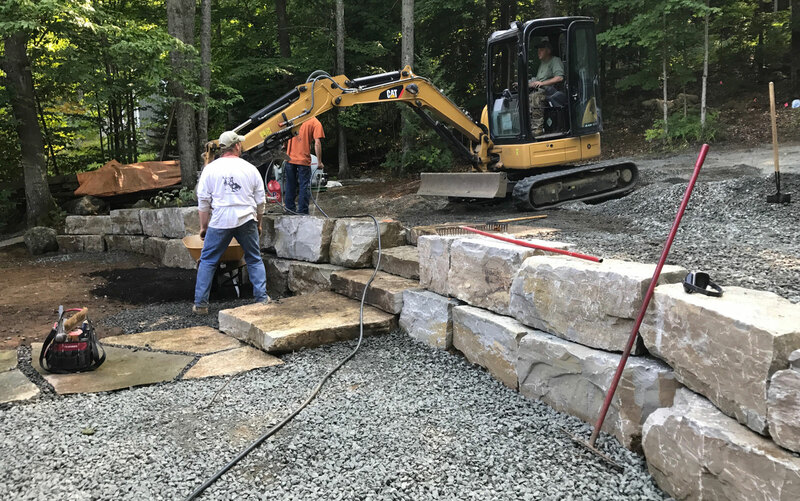 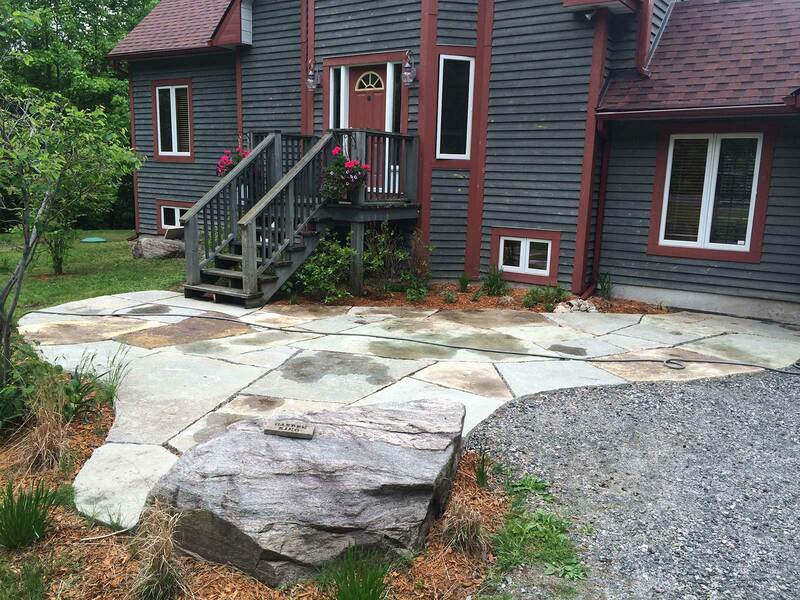 A carefully designed creekbed can enhance your property and by adding some plants, trees and large rocks it can transform an area into a natural looking feature that looks like its been there forever. 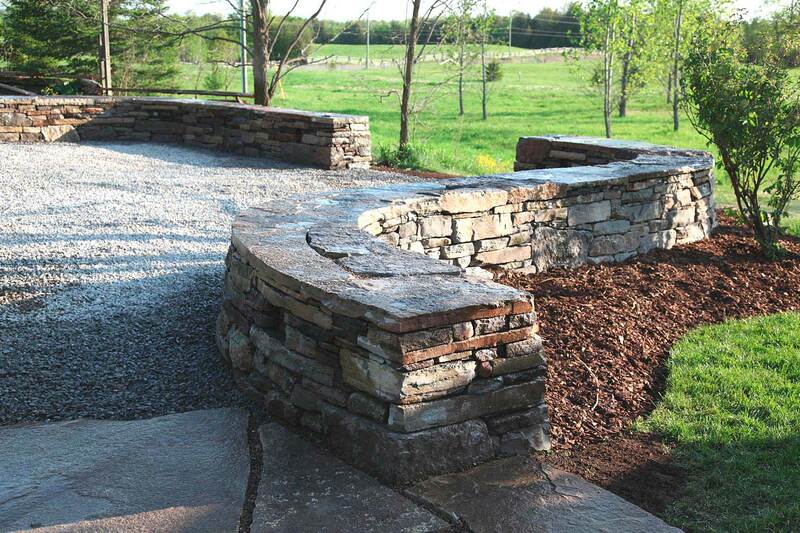 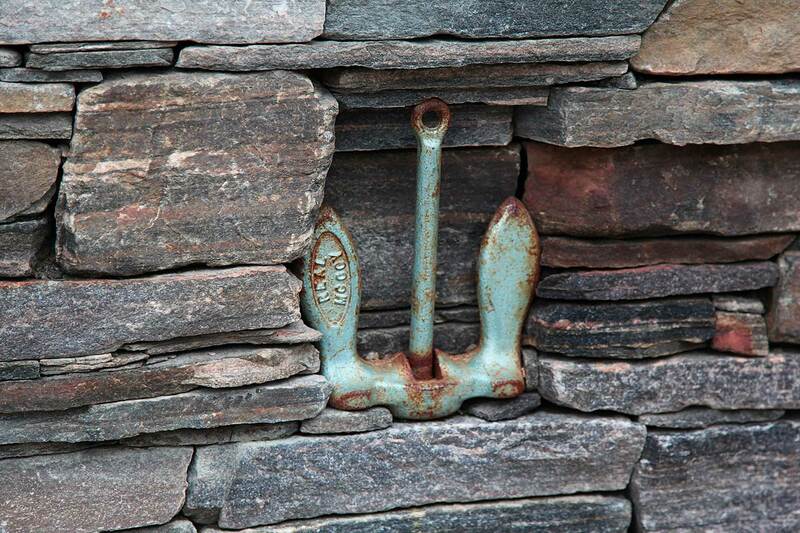 Retainer walls / stone walls can be comprised of many different types of materials and styles. 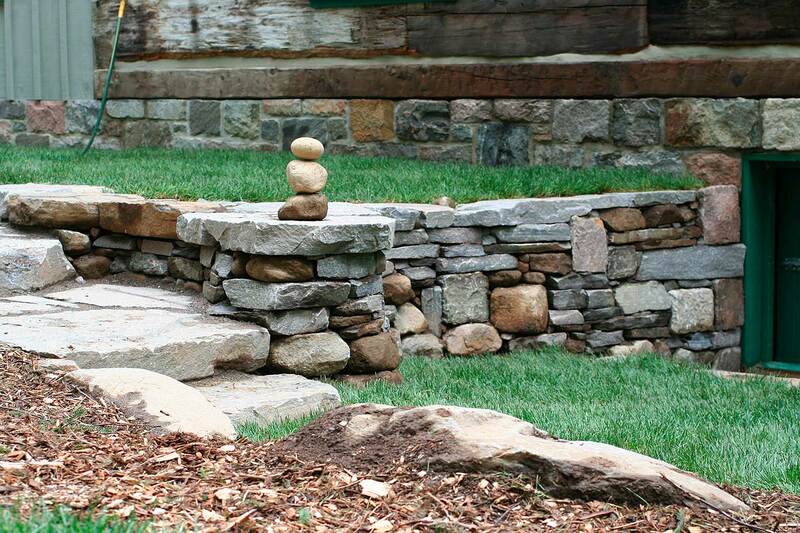 From the traditional dry-stacked stone wall to a planted rock garden style wall, or carefully placed natural boulders. 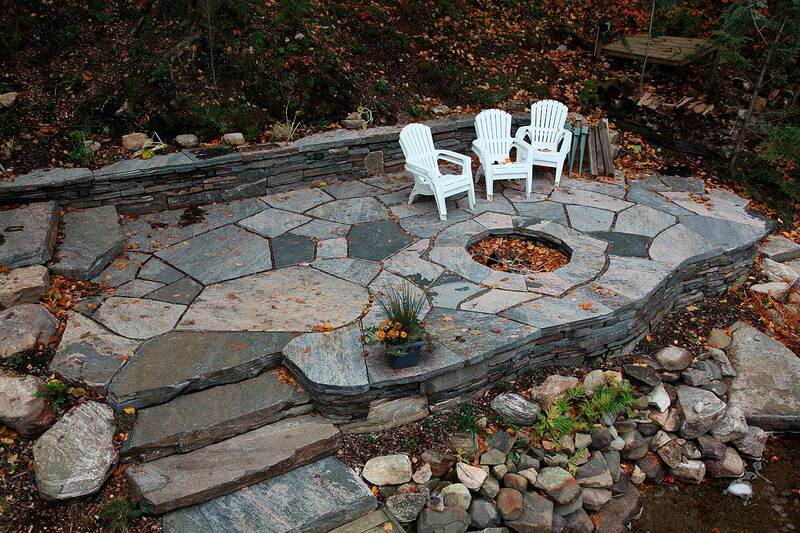 The options and finished looks are endless. 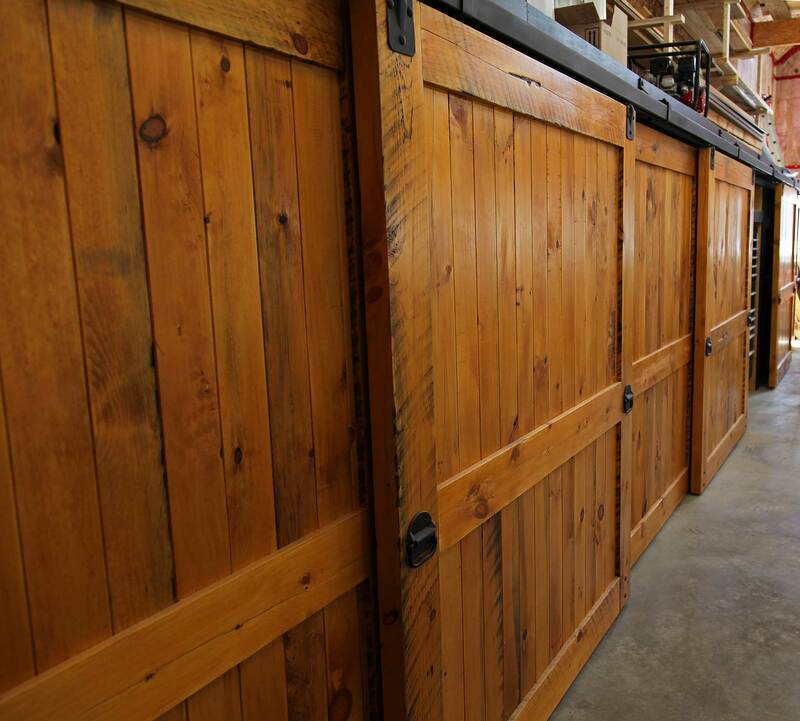 Please have a look at our photo galleries to see if there is something you like or we will create a totally original look just for your property. 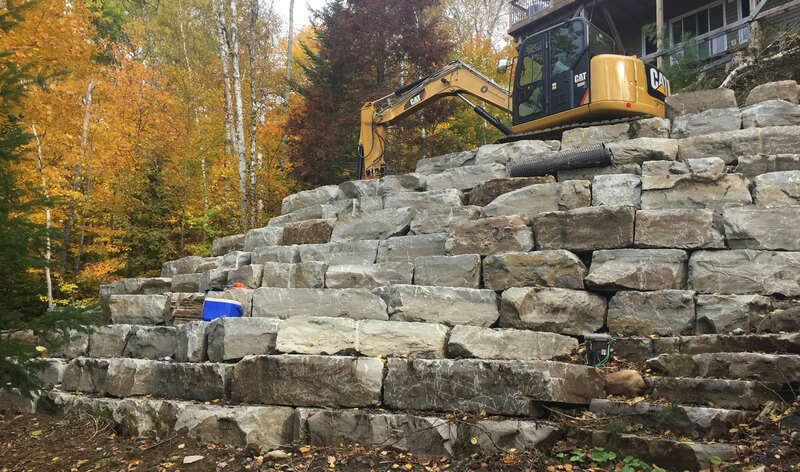 Drainage and erosion control is one of the staples of our business and no other company knows erosion control better than us. 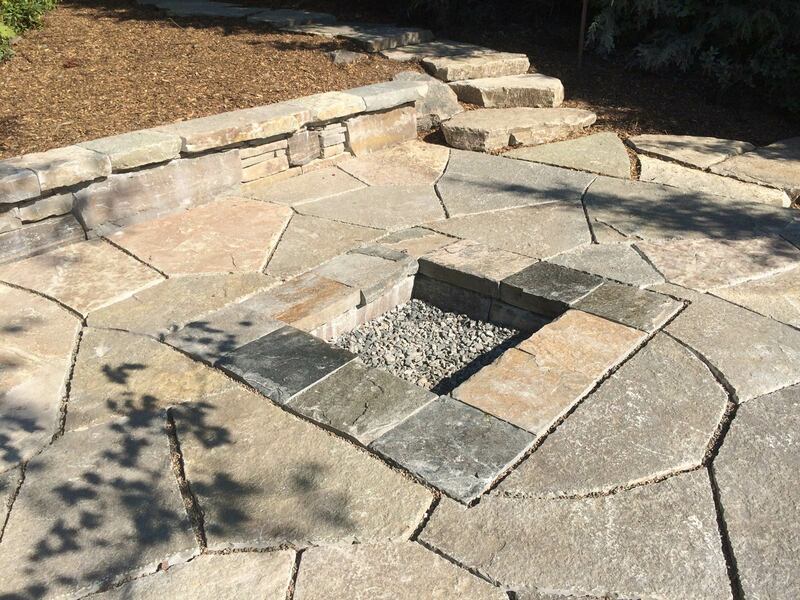 We take great time evaluating the problem and come up with a solution that works. 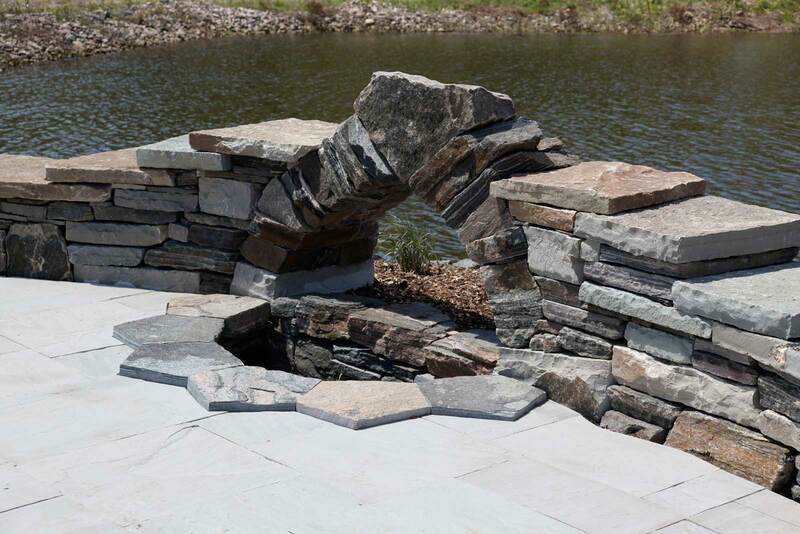 We have solved many drainage issues for builders and clients alike and the result has always been problem solved. 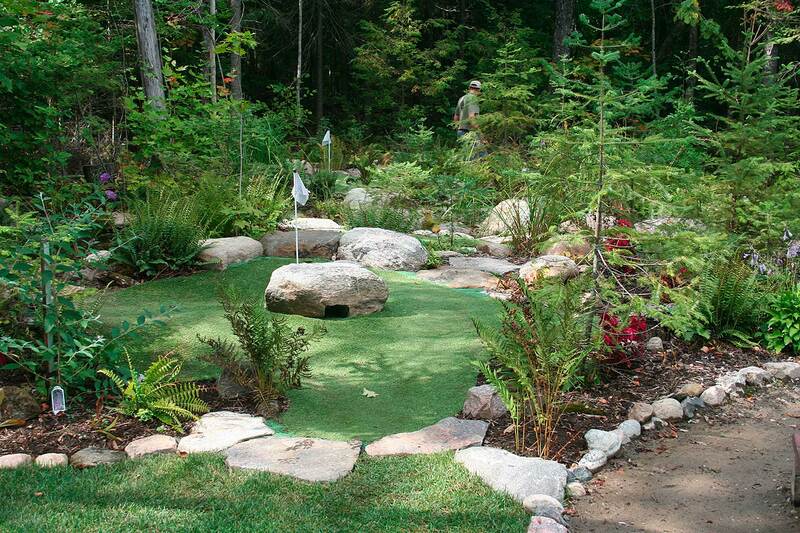 Blackrock Landscapes Inc. now offers hydroseeding as a fast and cost effective alternative to sod. 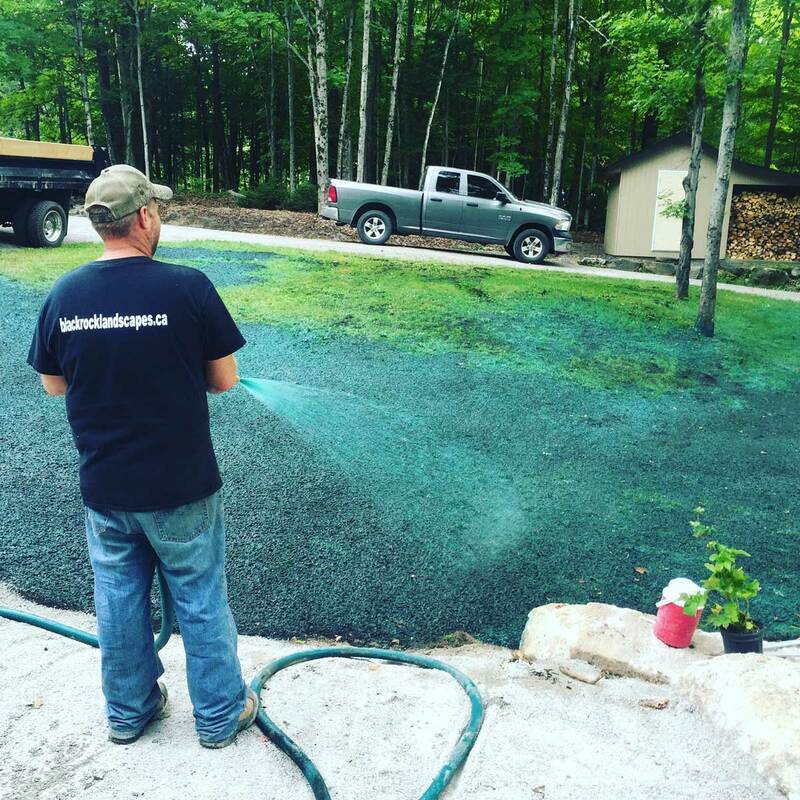 Hydroseeding is ideal for areas that require erosion control as it is equally effective at covering uneven and hard to reach terrain. 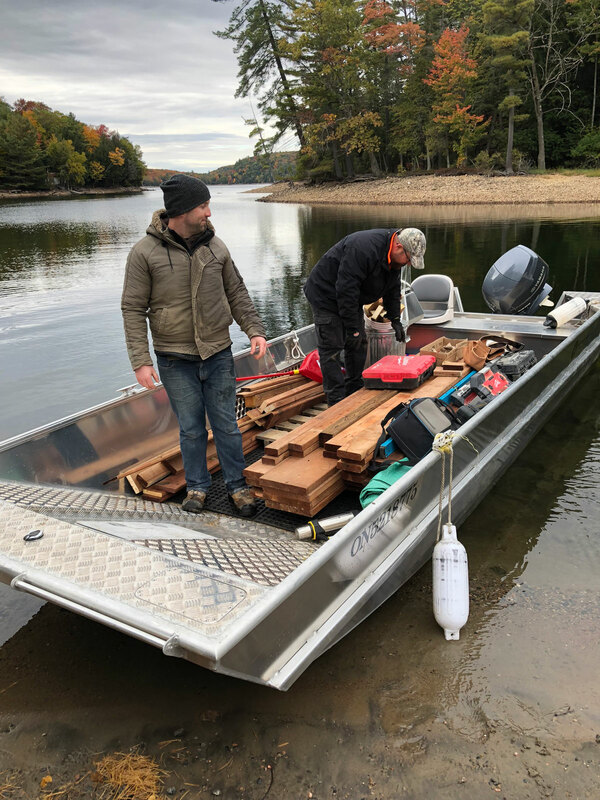 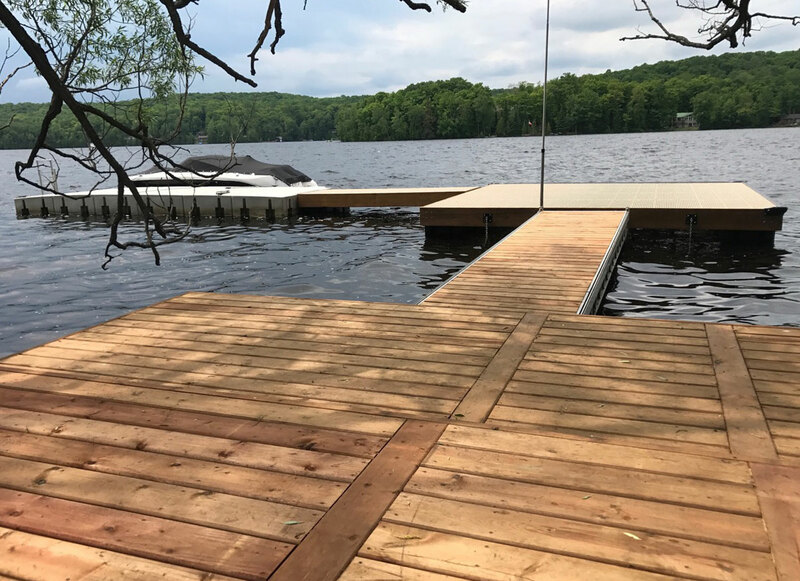 Lakefront restoration is a big part of our business and we work closely with the Ministry of Natural Resources and Fisheries & Oceans Canada to ensure your lakefront needs are looked after properly and legally. 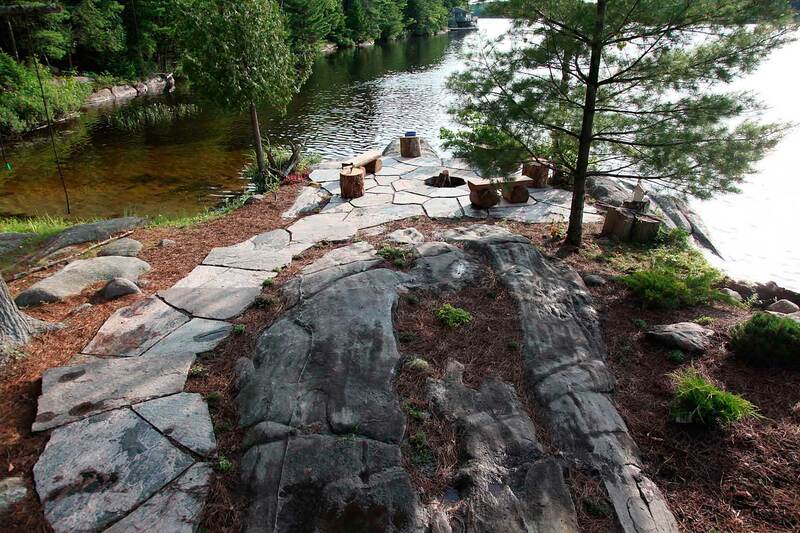 Many clients do not realize that there are strict permit requirements for doing work along shorelines. 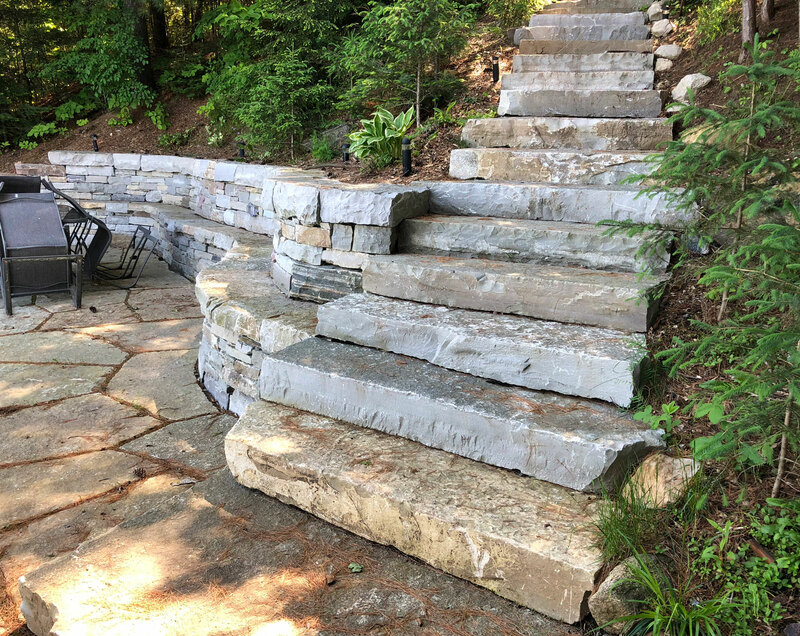 Please give us a call if you have any questions and our experienced staff can walk you through the permit process and provide you with the tools needed to proceed. 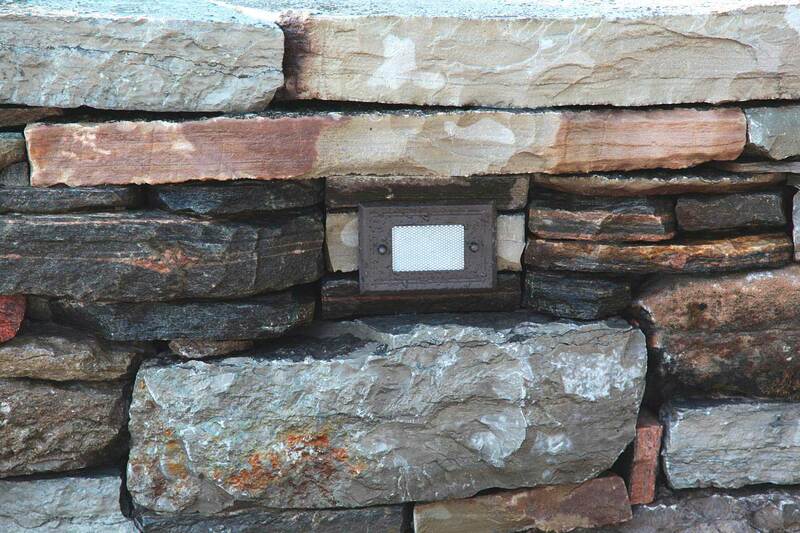 Lighting is an important part of finishing off a landscaped property. 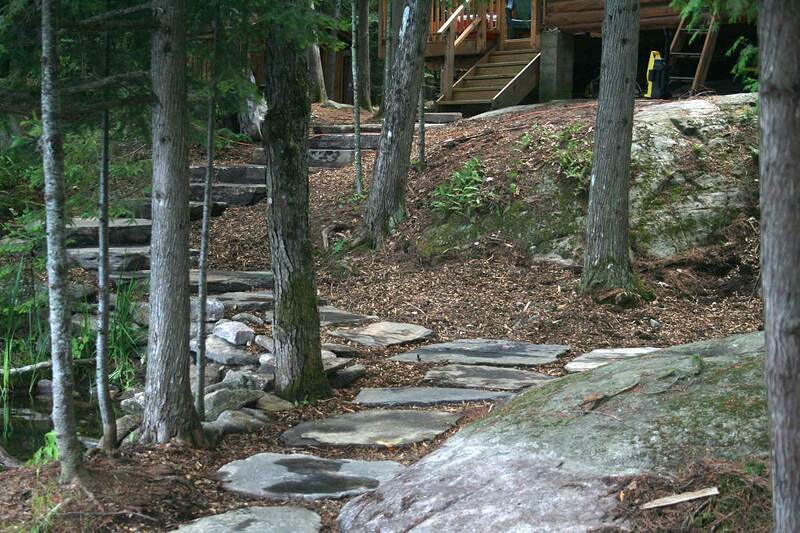 Lighting areas along pathways and stairs is essential for safety and enjoyment. 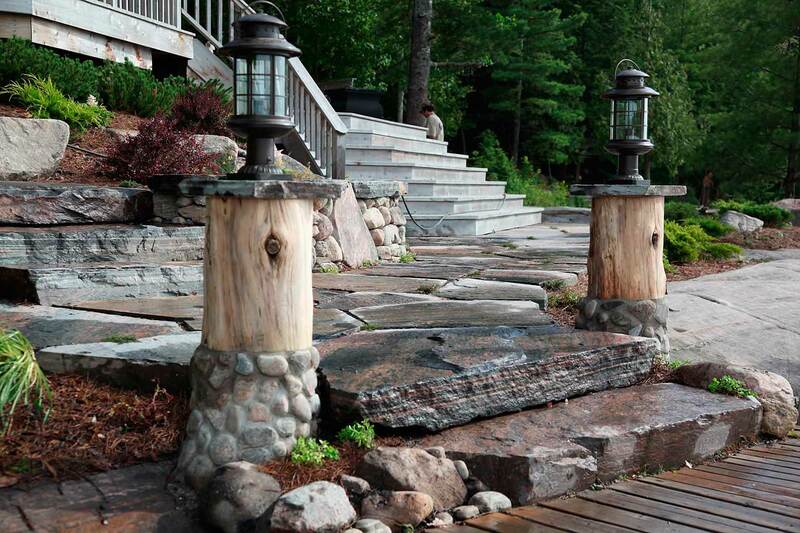 We offer creative lighting solutions for whatever areas you may require. 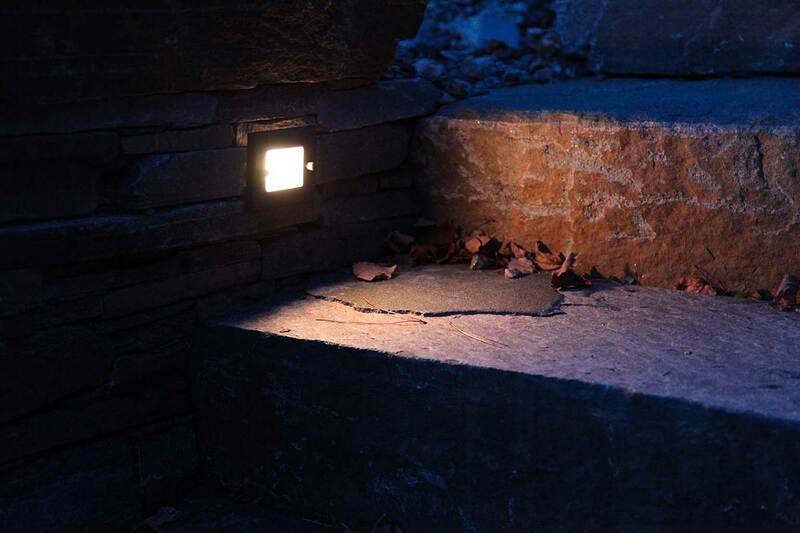 Whether it's solar lighting, low voltage lighting or our new architectural lighting which will be available soon on our website, give us a call to discuss the many options that may work for you. 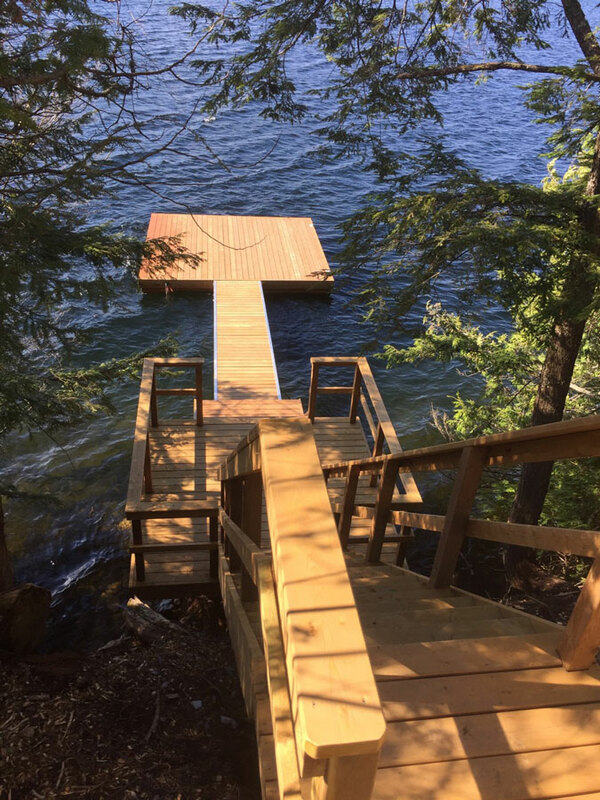 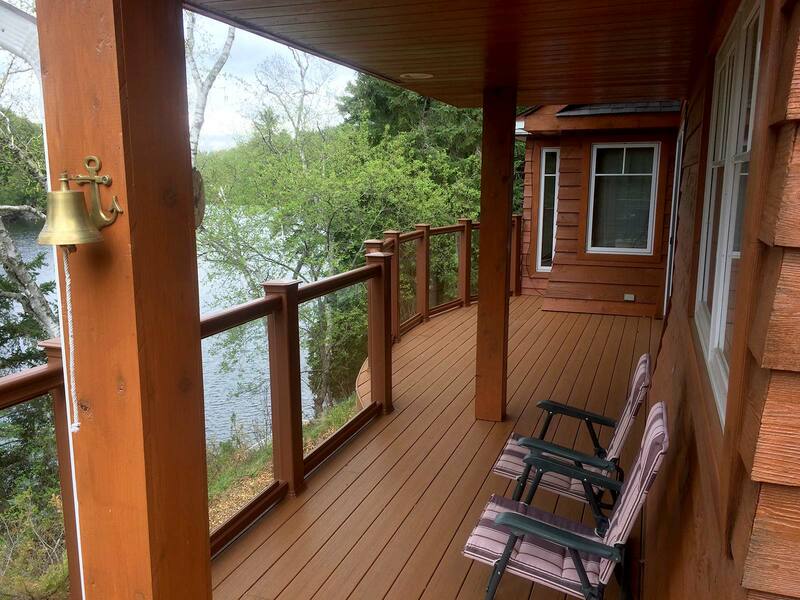 Decks and woodworking are an integral part of landscaping, whether it's a deck, a dock, a crib for your dock or architectural lattice, we can custom build whatever you need. 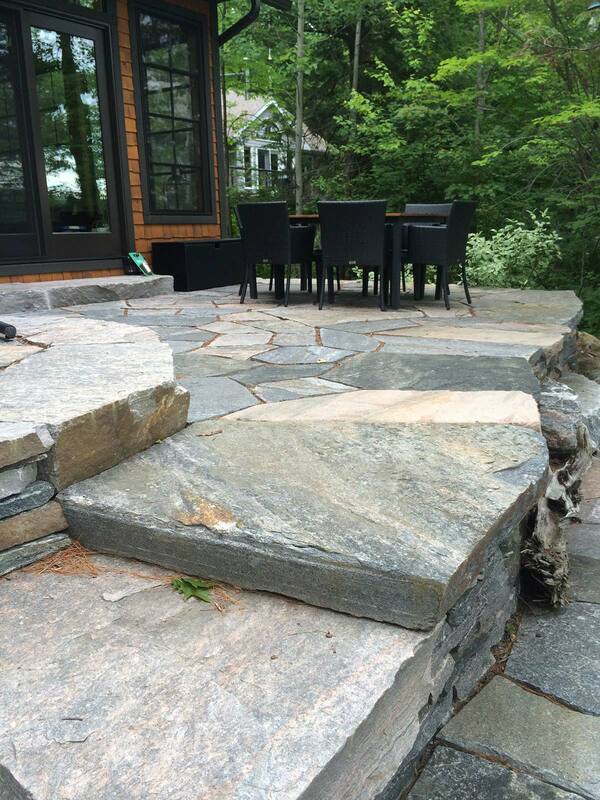 Give us a call to discuss your project needs and together we will come up with a solution that works and looks best. 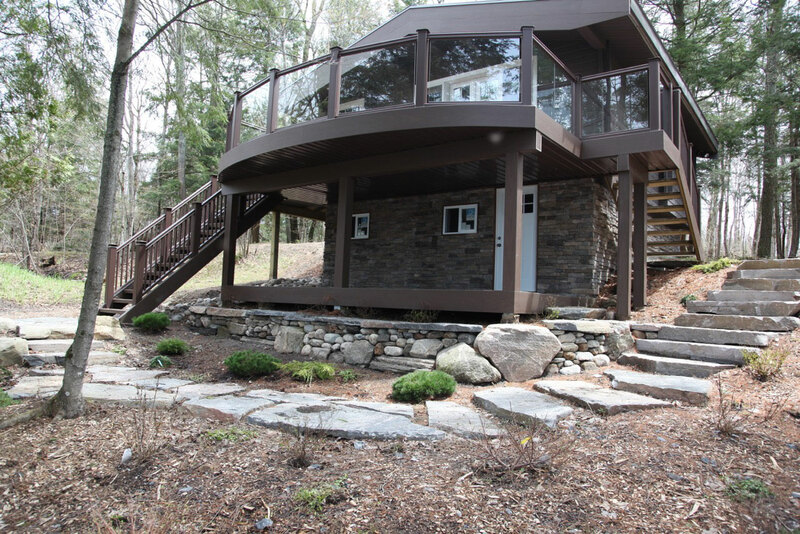 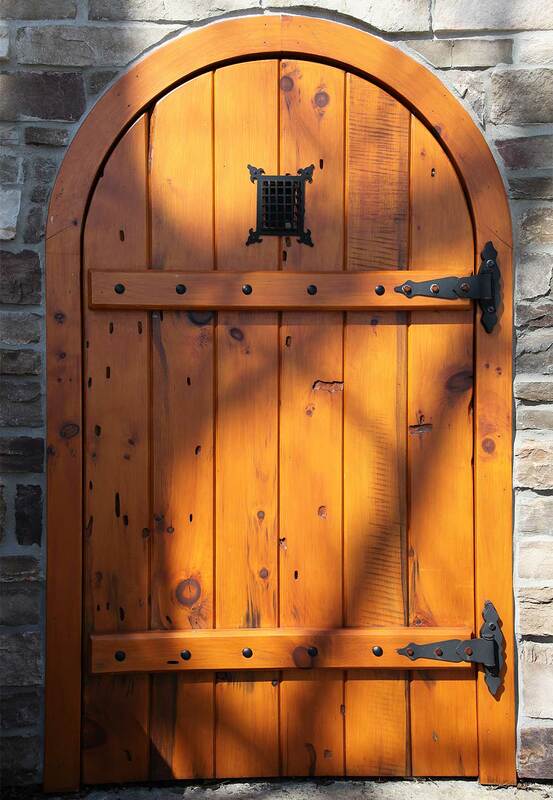 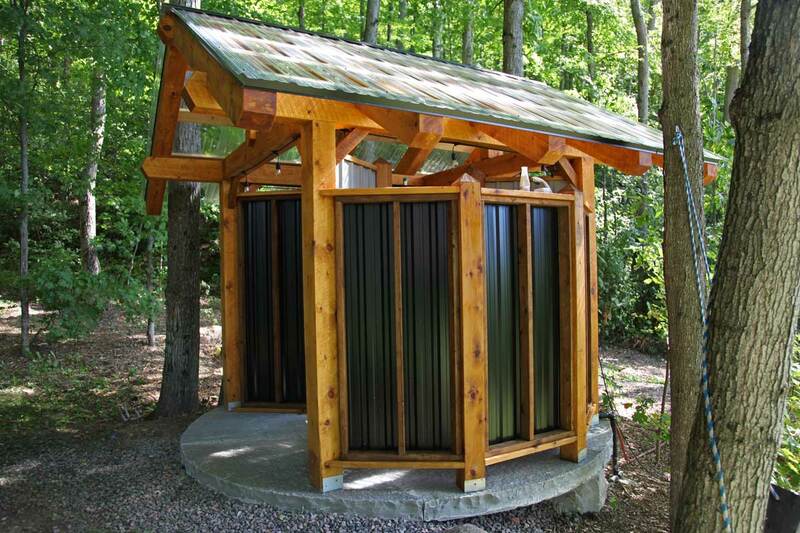 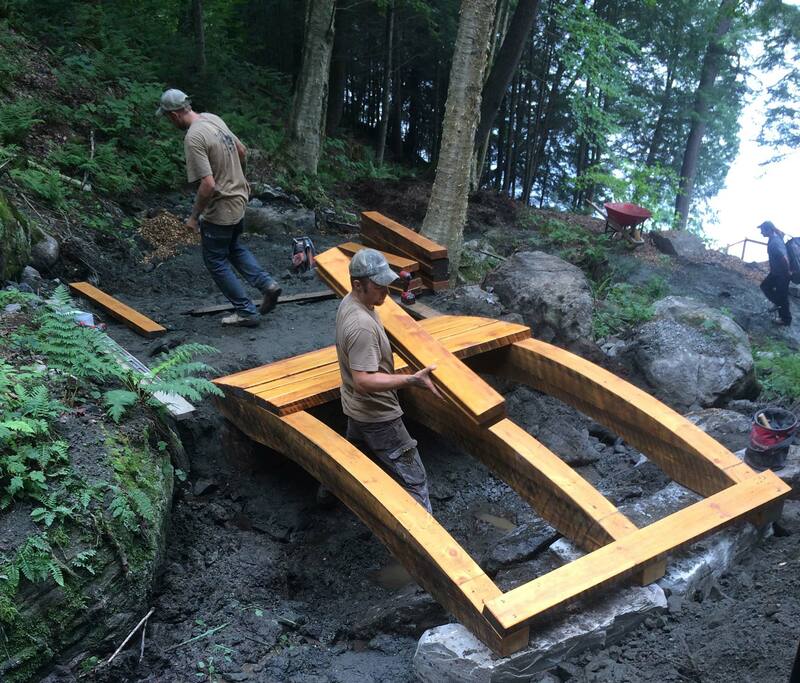 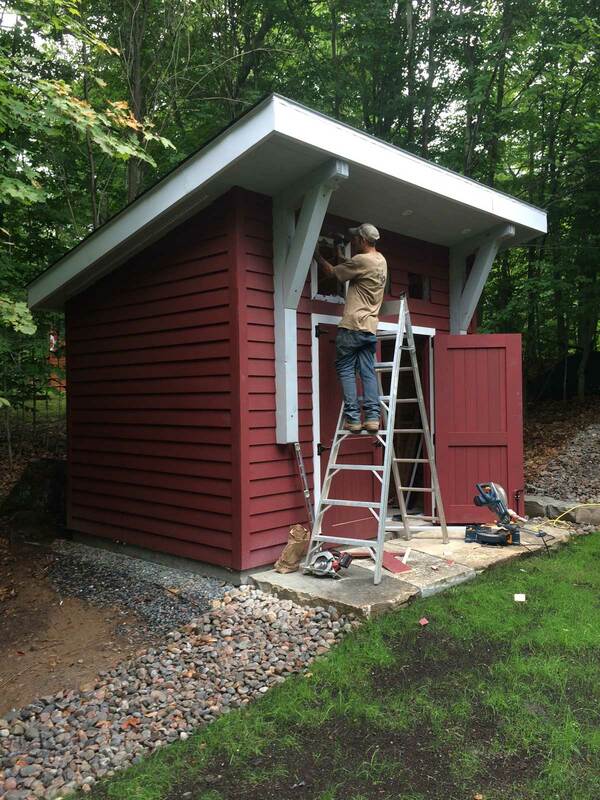 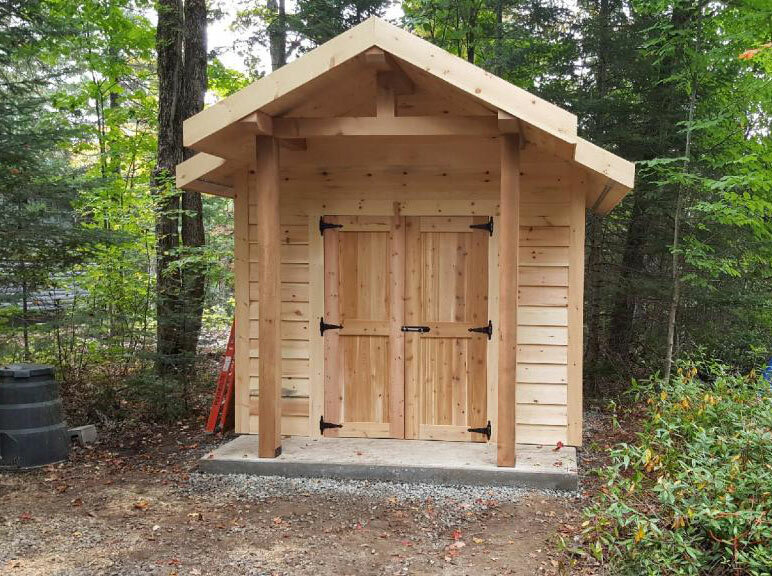 Black Rock Landscapes Inc. is now designing, building and installing custom woodworking items such as timber framed structures, sheds, gazebos, cupolas, doors, outdoor kitchens and much more. 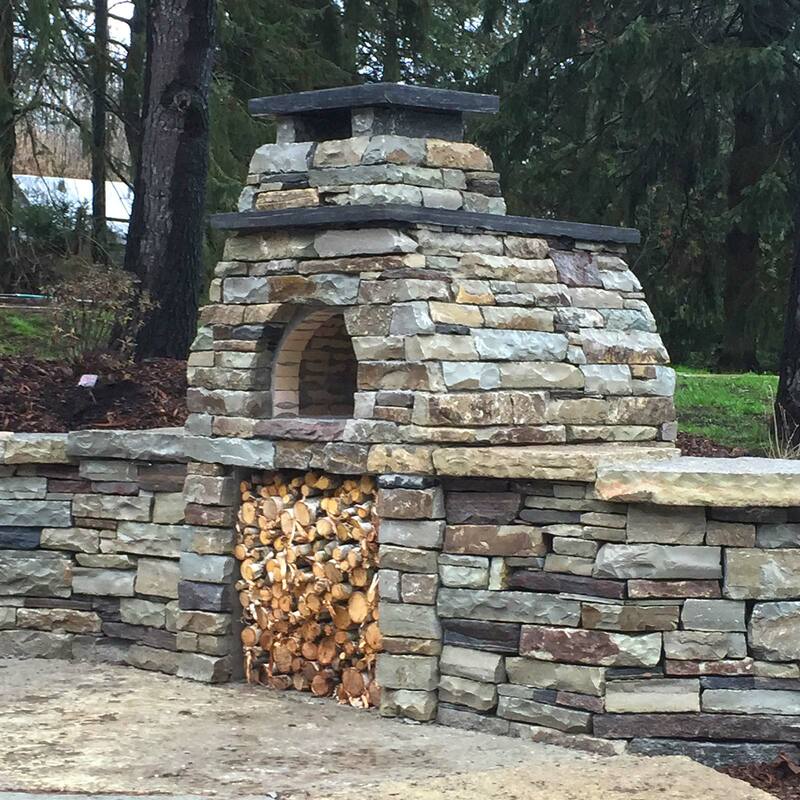 We can build whatever you are looking for. 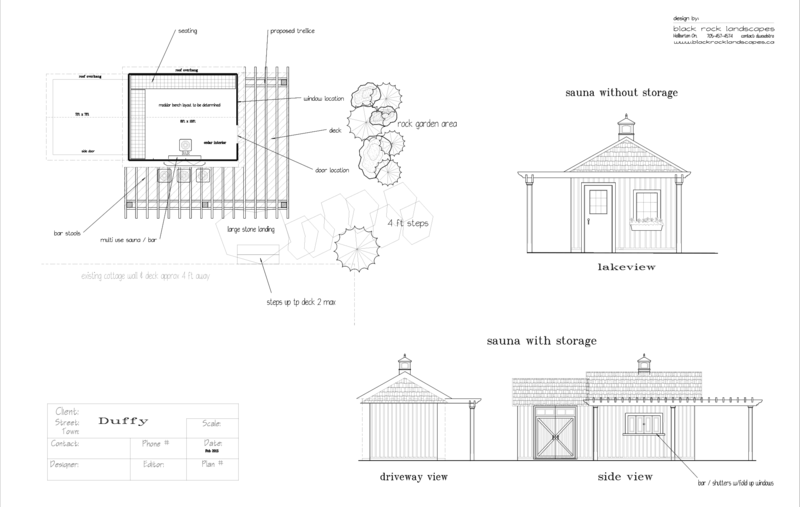 Scaled drawings are available to help throughout the design process. 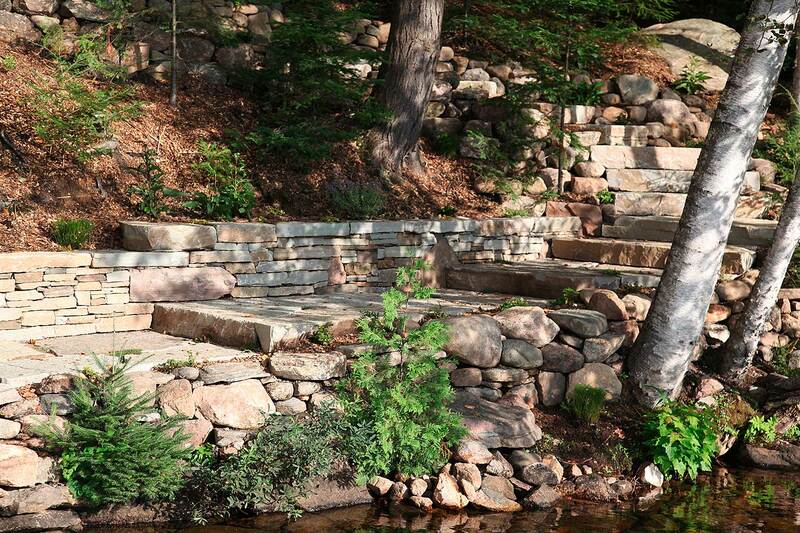 Give us a call to discuss your project.